Ah, sleep. We’ve been here before on the blog haven’t we? My troubled journey to getting a better nights sleep has been fairly well documented over the years. On a very simple level, I apparently just don’t need as much sleep as other people may do in order to be fully functional. However, for a very long time the sleep I was getting was far from enough; most nights were broken and restless. In that department I’m apparently not alone. In 2018 The Sleep Council conducted a survey to get a better understanding of how we deal with sleep as a nation. 35% of us have experienced problems with sleep for five years, with 10% for more than 10 years. The NHS guidelines state you should get between 7 and 9 hours sleep a night, something I find quite laughable to be honest. I’ll get more like 5 to 6 on a good night. I’ve tried a lot of different ways of improving my sleep over the years. 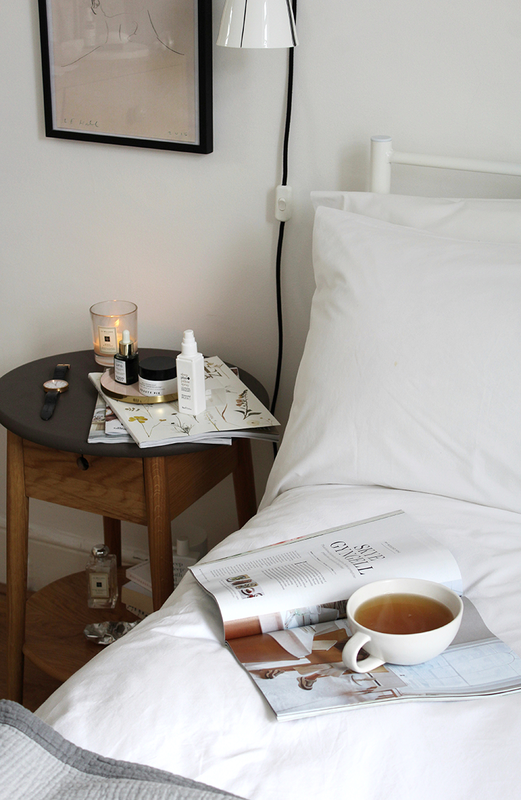 There’s been cherry juice and meditation with Oprah, multiple mattresses and a plethora of scented sleep candles. Over the past two months however I feel like I’ve finally got into a better rhythm with my sleeping. I’m still wouldn’t say I’m surpassing the 6 hour mark, but for me I think that’s as good as it’s going to get. I go to the gym each night after work and if I haven’t been for whatever reason I completely notice the difference in how I sleep. Likely it’s down to simply being kind of exhausted and ready for sleep, but I think part of it is down to simply having a set routine. I know so many people are morning gym goers and come a weekend, so am I, but unless I also head out for a later afternoon run I never feel quite as ready for bed. iPhones now have the functionality to switch to a night mode, supposedly helping your brain switch off as you wind down to sleep. For me however, I’ve gone cold turkey. Come 10pm my phone goes face down on the bedside table and I try my best not to lift it until morning. I can’t claim to be a huge watcher of TV through the week but I’ve also made the rule that the TV goes off at 10pm also. It’s an easy one to follow for me but appreciate for others that might not be so easy or indeed, welcome. I’ve always been a huge consumer of magazines and books but of late they’ve been mounting. The stacks of unread magazines and Amazon book suggestions were getting rather hefty, so as part of my new sleep routine I decided to tackle it. Before bed I try to get in 30 minutes of reading, whether that be a book or a magazine, it doesn’t matter. I just try to do something that doesn’t involve a screen. If I’m exhausted however, I tend to leave it and get into bed for 10pm. I appreciate to sum that could be excessively early but I will wake when the sun comes up, without fail. So going to bed later won’t mean I’ll get up later, I’ll just get less sleep! I remember years ago watching The Oprah Winfrey Show and a sleep expert saying realistically you should stop consuming coffee after 3pm in order for it to be out of your system by the time you sleep. That’s always stuck with me (most things Oprah say do to be fair – big fan) and generally I’ve always been good at that. What I am less good at is limiting my caffeine consumption prior to that. It’s been a real challenge but now you’ll find me with one or at the most two cups of coffee first thing on a morning. After that it’s peppermint tea. It’s tough but I also want whiter teeth, so I keep myself going on the idea of that! I’ve been in my current flat for three years now and in that time have had four mattresses. I’m fairly picky with what I can sleep well on; squishyness isn’t for me at all and in general memory foam just makes me feel odd. When Simba got in touch and asked if I would like to improve my sleep by trialing their product I was a little skeptical. A year or so ago I trialed another mail-order mattress and unfortunately it only lasted a week. Far too soft and sinky for my liking. The good thing about Simba however was that I was able to go into my local John Lewis and actually trial it before I accepted the kind offer. Now, trialing mattresses in a shop is a very weird experience and I’d like to talk about it. Why is it that when you’ve finally plucked up the courage to get on one and lie down on it that the sales assistant comes over, looks down at you lying down and asks if you want help? I am not in a position for a particularly lengthy chat and before you arrived I was psyching myself up to rolling over onto my side and trialing it that way. It’s an odd experience but I’m very happy I was able to do it for the Simba. I’ve had it on the bed now for almost a month and am actually very impressed. Whilst the mattress was gifted my opinion hasn’t, as always, been purchased by doing so. Unlike the other mattresses I’ve tried (I won’t name names) Simba also has springs to support you. The construction also means that should you be sharing the bed with a partner their movement shouldn’t impact you, even if they happen to be prone to tossing and turning. It can’t sort out someone’s snoring however, sorry. They aren’t cheap – there’s no denying it. 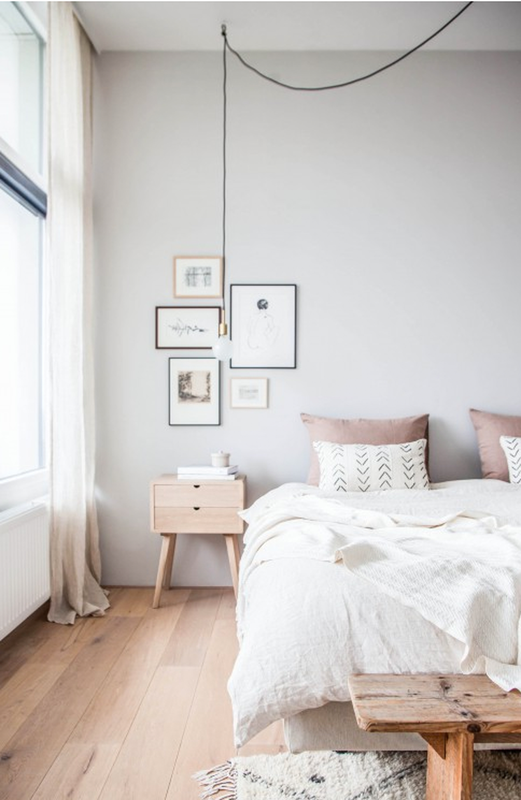 When it comes to pieces of furniture to invest your money in, if you think about it, your mattress will likely be the place you will spend the largest amount of time. Your mattress should be everything you need to get a good night’s sleep. 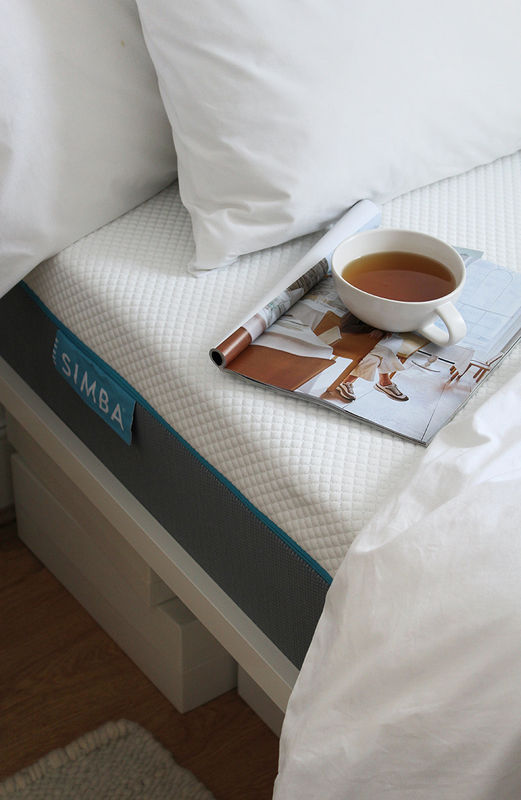 If you’d like to give the Simba mattress ago yourself you can get £75 off your purchase by following the link here. 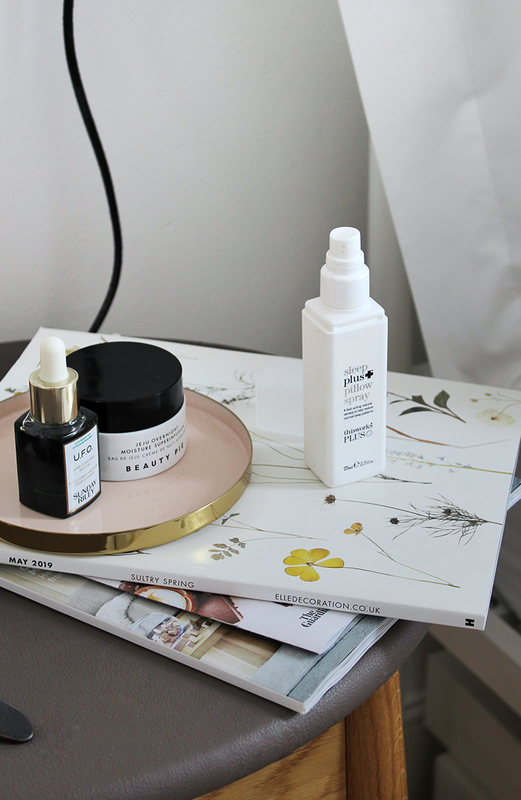 My recent obsession with skincare and YouTube reviews lead me to finding a new pre-bed routine. It’s not just about improving my skin to be honest, the act of having a routine you do every night before bed seems to help? I suppose it starts to make your mind feel like it’s winding down. Brush your teeth, cleanse your face, moisturise, hand cream, sleep spray, bed. I’ve always been the kind of person who responds well to a set routine and for me, I think the act of self care is a big part of what’s been helping me get to sleep quicker. This Work’s sent me through one of the Deep Sleep Pillow Spray some time ago and since then I’ve gone through countless bottles and gifted countless more to friends and family as a result. 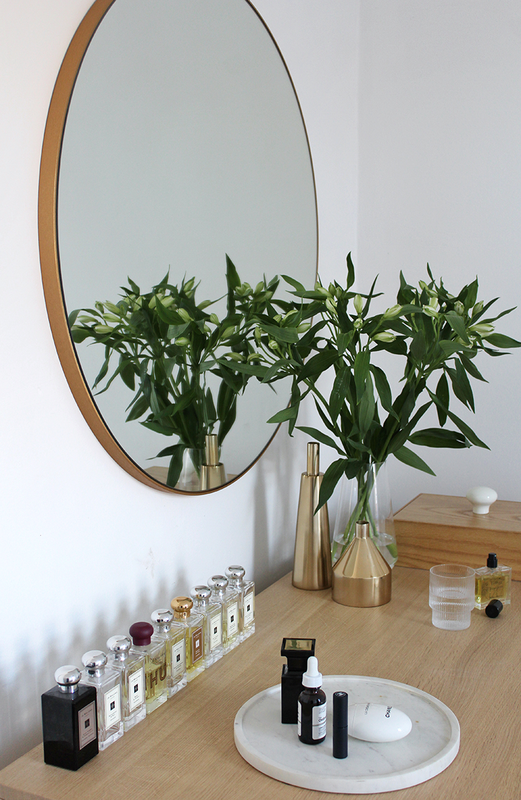 It could be that it’s a simple placebo effect, but for me scent is such an integral part of our home. I smell that familiar vetiver scent and instantly I think of sleep. I spritz my pillows with it before drifting into the bathroom to brush my teeth. The above steps might not work for you, we’re all different and I’m certainly no doctor. It has worked for me however and if you are having trouble sleeping or switching your mind off, maybe give it a go. Aside from improving my sleep, trying to use my phone and TV less on an evening has been a really good experience. We’re so dependant on these things now, it’s nice to just have some quiet time. Visually and acoustically! Some of the most rewarding pieces of content I’m able to create are those that challenge me. The process of creating an image is exactly why I do what I do, it’s my favourite part of running my own blog. 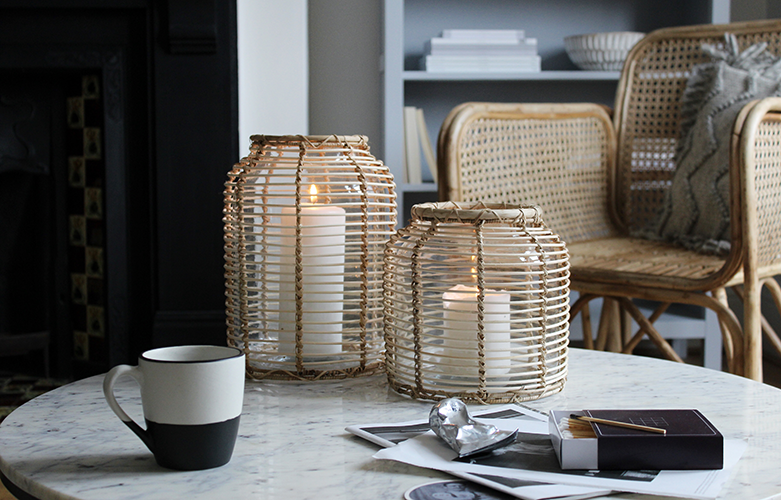 That quiet afternoon spent moving around furniture and framing shots, filling mugs with coffee and lighting candles. I’ve always been a rather meticulous planner when it comes to creating an image. Sometimes there’s an element of chance to the perfect image arriving on your screen but for the most part each and every piece of content I create has started life as a rough sketch on the page of a notebook, or a hurried note on my phone as I sit on the bus to work. 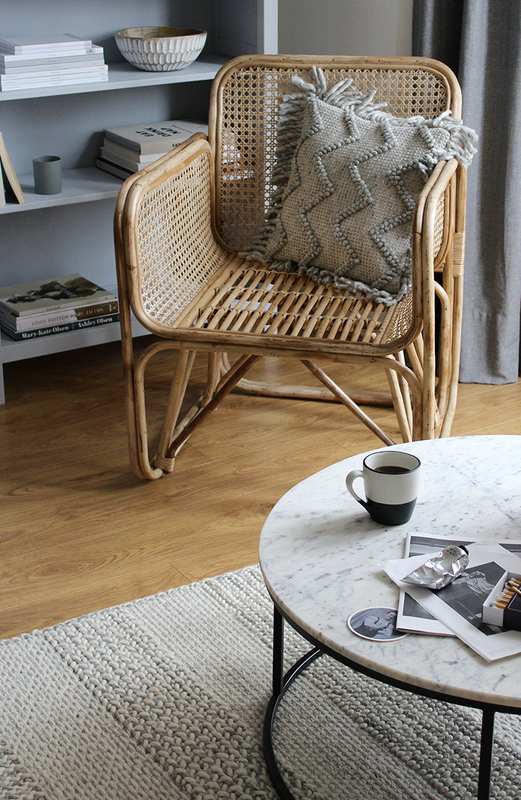 As soon as I received French Connection Home‘s email inviting me to see how I might go about styling their latest collection within my home, I was scribbling down ideas and mentally rearranging my furniture to make way for the marble coffee I’d already seen a few weeks previously in ELLE Decoration. 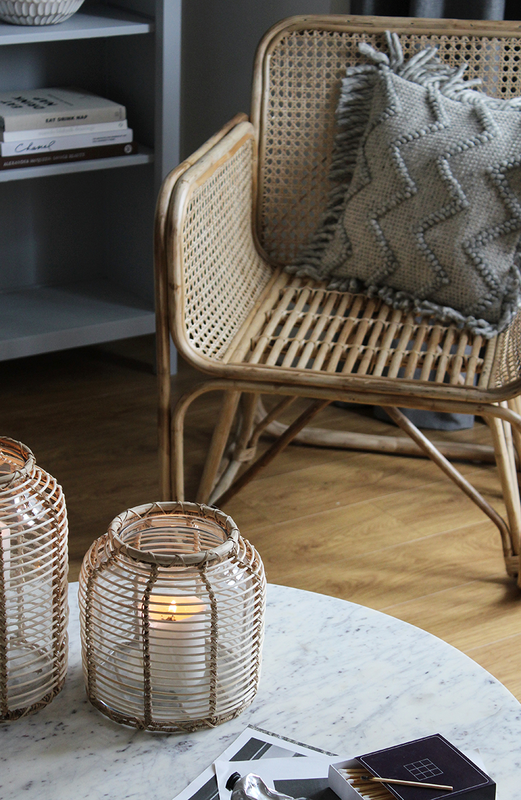 This post isn’t about entirely revamping a room in my home and it doesn’t feature any great feat of DIY, instead I wanted to showcase how the look and feel of a room can be changed by the addition of a handful of new pieces and a re-style. 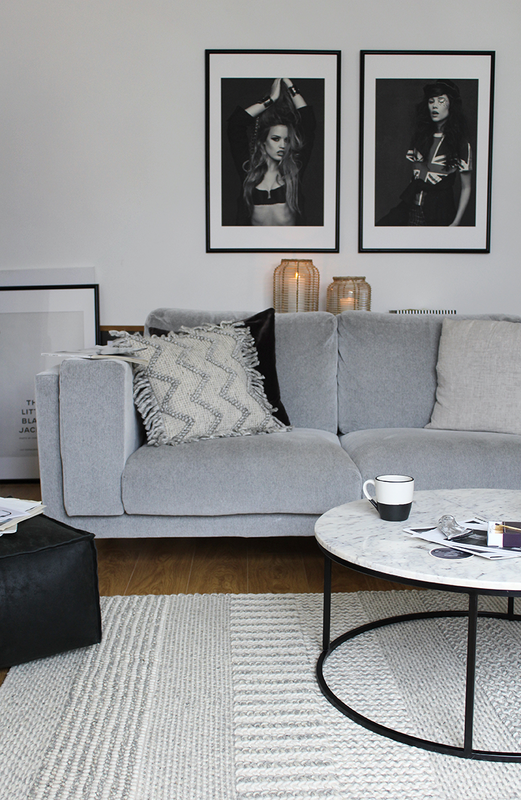 My living room is something that (if you follow my Instagram in particular) you’re likely very familiar with, so in the process of styling the collection I wanted to offer it up in a new light. Working with French Connection challenged me to look at how else I could make the space work and how I could change up its look and feel without having to lift a paintbrush. Living in a rental property means I have to be a little bit smarter about how I decorate – my landlord is not someone who would appreciate me going rogue with a roller. The pieces I chose from the Spring/Summer 2019 collection were all selected for their texture. 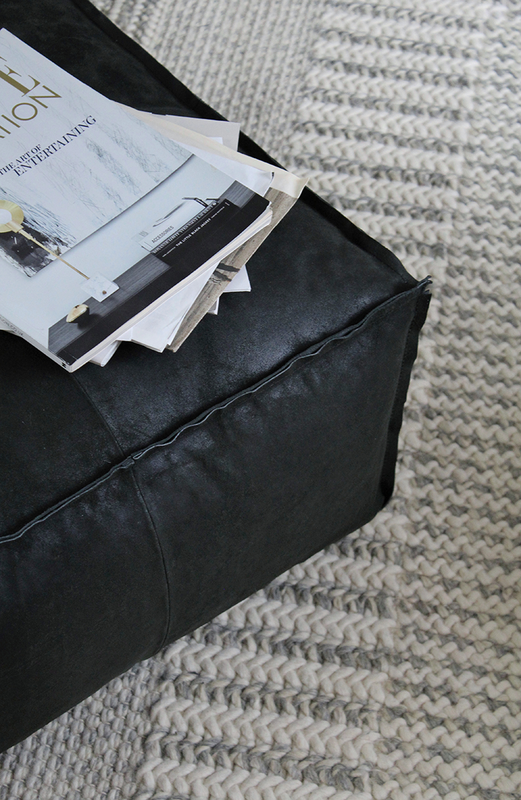 French cane, a kaleidoscope of knotted wool, soft matte leather and a cool slick of white marble. 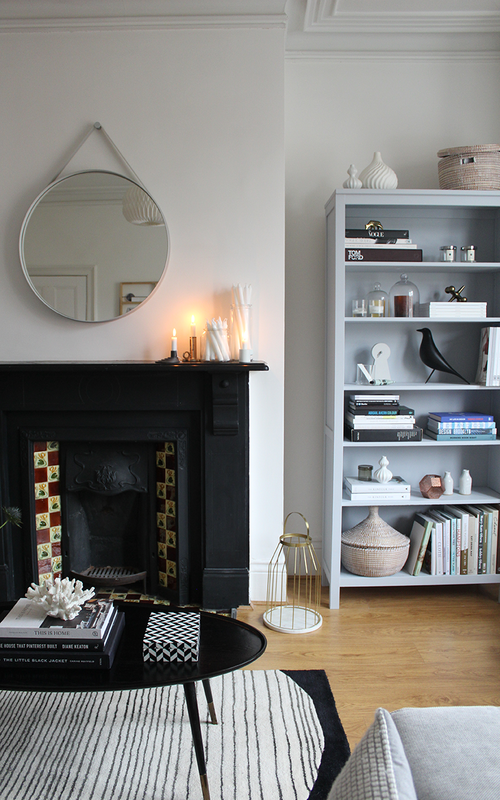 All were new ground for me and lead to a whole day of re-styling my living room – one of the most satisfying days I’ve had in a long time. 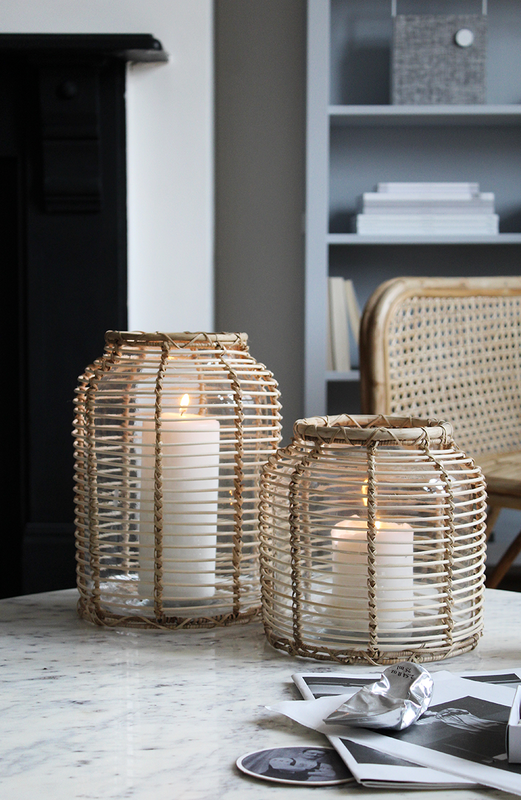 If you’re not too familiar with French Connection‘s homeware range, then you’ve done yourself a disservice by not having explored it sooner. Whilst this may be a sponsored post, my opinion has in no way been purchased, of that I can assure you. If you found yourself in my home prior to this collaboration you’d have come across several pieces from past collections, including a frosted glass vase that has made its way into countless Instagram posts atop my mantlepiece. I’ve always felt like their pieces look like they have history, have lived a life and been a part of your home for years. The Eclipse Leather Pouffe you see here couldn’t display that point any better. The leather sourced to create it has a soft, irregular quality to it that makes me infinitely happy. There’s nothing shiny and new about it, its raw edged construction gives it a soft, comfy feel. Furniture you’re going to sit on, touch and experience in such a tactile way should be inviting. This is an inviting footstool. Is that weird? Maybe that’s weird. 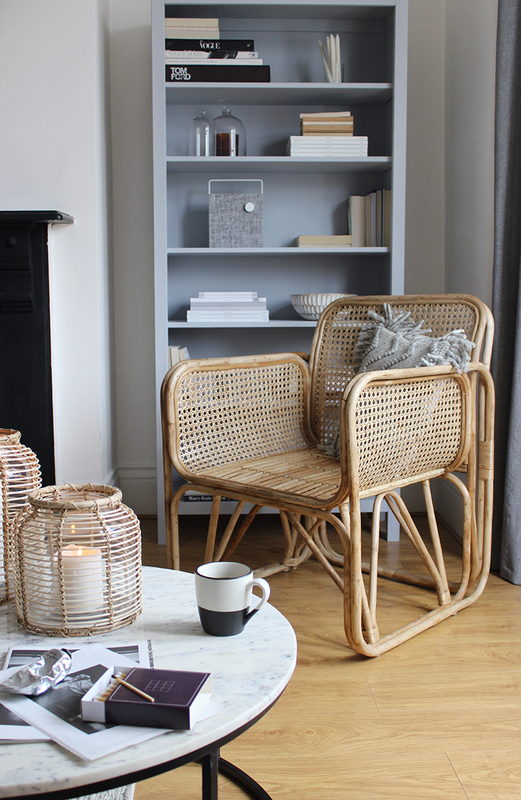 The French Cane Chair I selected reminds me of a piece I grew up sitting on, albeit delivered with a Scandinavian twist as part of French Connection’s rejuvenation of the material. 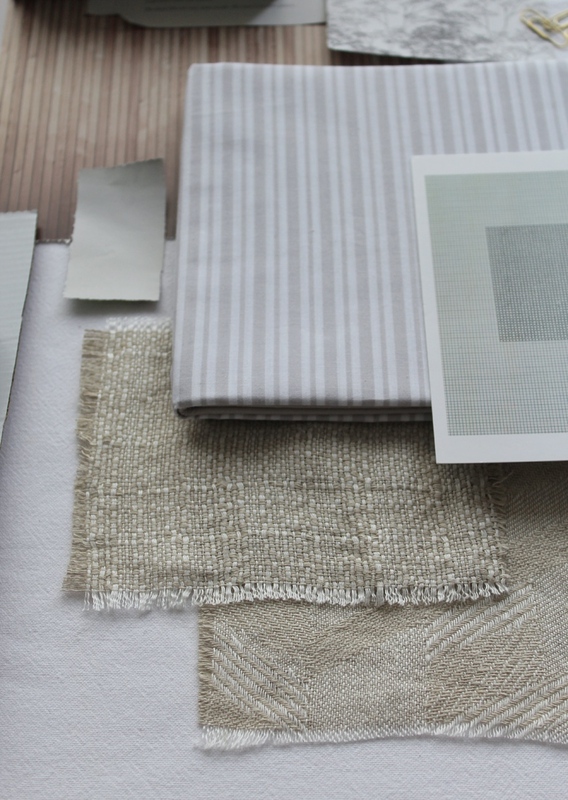 When you’re working with a minimal colour palette, having an array of textures becomes ever more important. 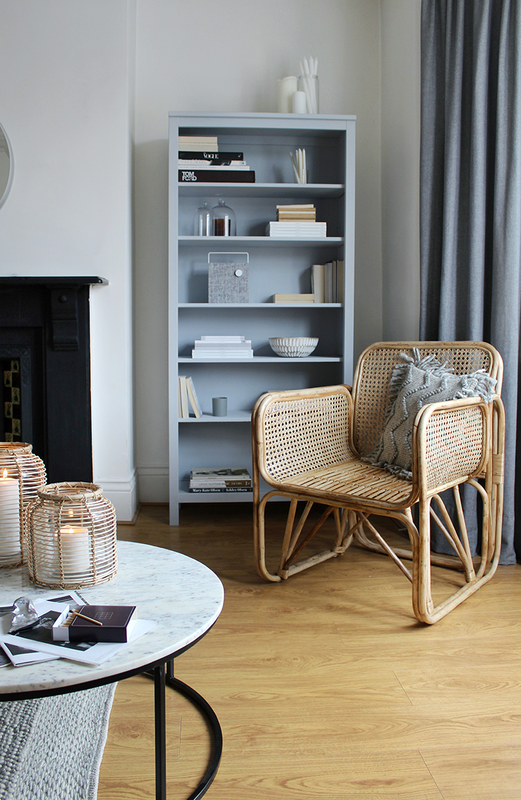 French Cane is a new one for me, but the soft honey-hued cane against the pale grey of the bookcase works to knock back the ‘newness’ such a straight-lined, modern piece of furniture can deliver. 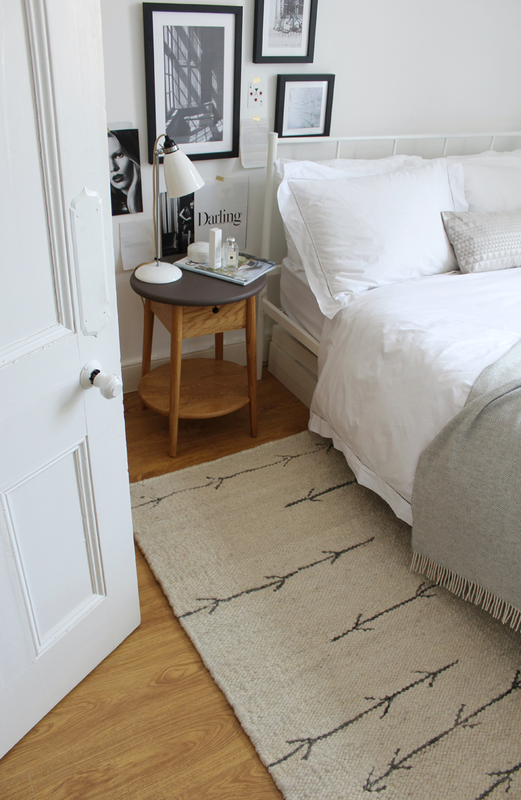 The Agadir rug is one of my favourite pieces of the entire collection. Rugs are something I’m often asked about over on Instagram. They’re never the easiest thing to settle on for a room, after all how do you really know if it works until it’s in and down? 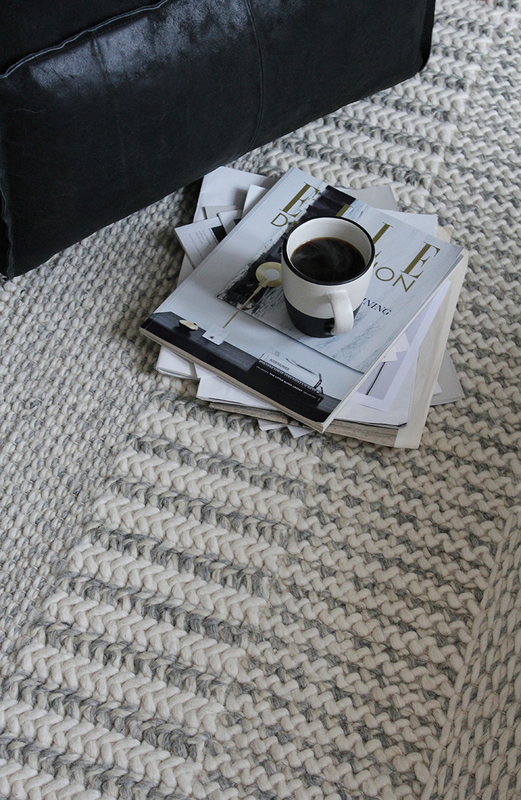 Whilst it may seem a little more neutral in appearance online, the Agadir is in fact a snow white with marled grey. 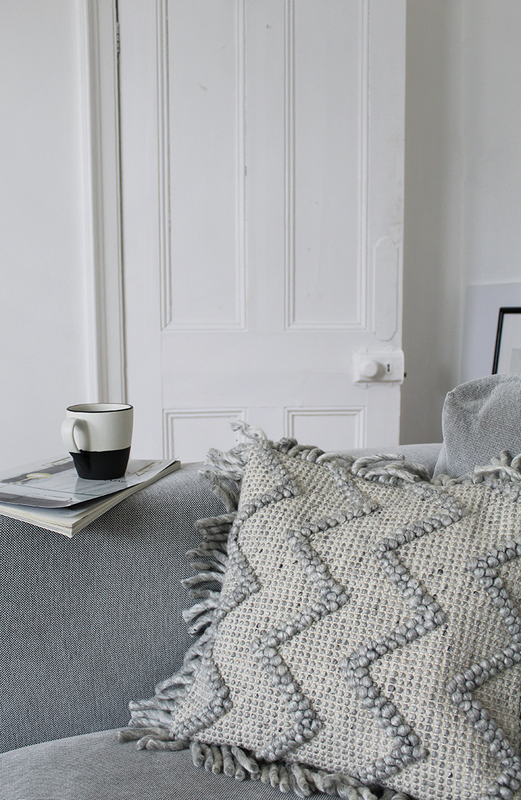 A quietly chaotic mix of knots, plaits and flat weaves, it’s the kind of muted pattern a colourphobe like me dreams of. If you’re a minimalist who can’t fully commit to absolute minimalism for fear of it being too austere, I couldn’t recommend it enough. 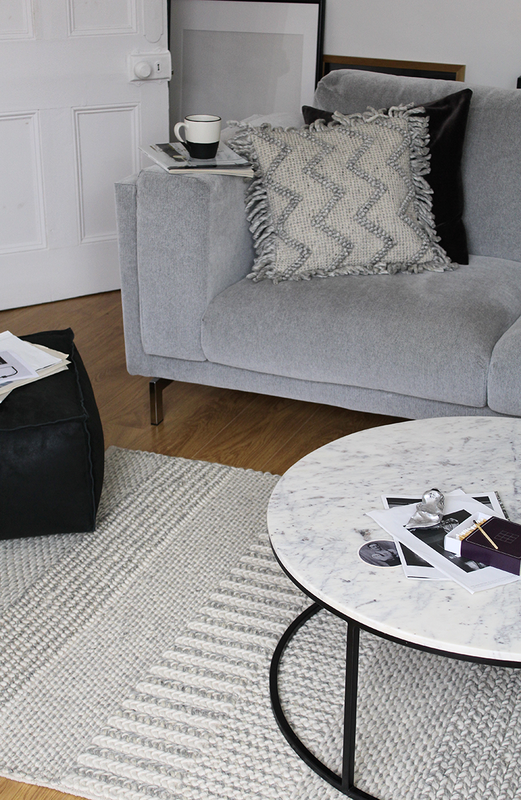 I live my life in a state of monochrome and yet it’s somewhat baffling I haven’t owned a piece of marble furniture until now. 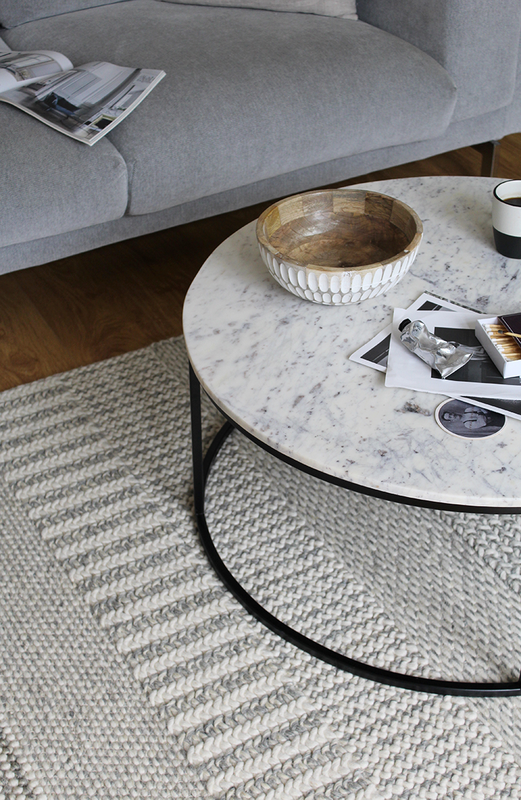 The Banswara Marble Coffee Table found itself shifted around the room into a multitude of new homes throughout the process of creating this blog, something that was not in any way easy. The fine iron frame beneath the marble top counteracts the weight of the piece, allowing the rug beneath to still have its moment. If your room is on the smaller side pieces of furniture that have space to breathe are ideal. Heavy blocks of furniture shrink a room immediately. 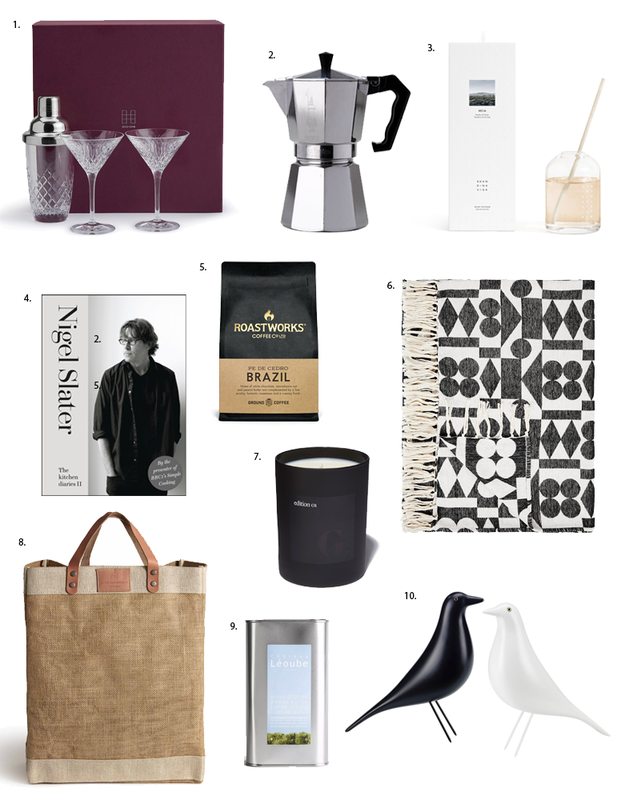 All of the French Connection Home pieces you see featured in this blog were chosen by me and kindly provided by the brand for me to style with. I’ve mentioned it previously, but I don’t take on sponsored work lightly. I loved styling the images you have seen here and am proud to partner with the brand to bring them to you. If you’d like to explore the full Spring/Summer 19 Collection you can do so online now. 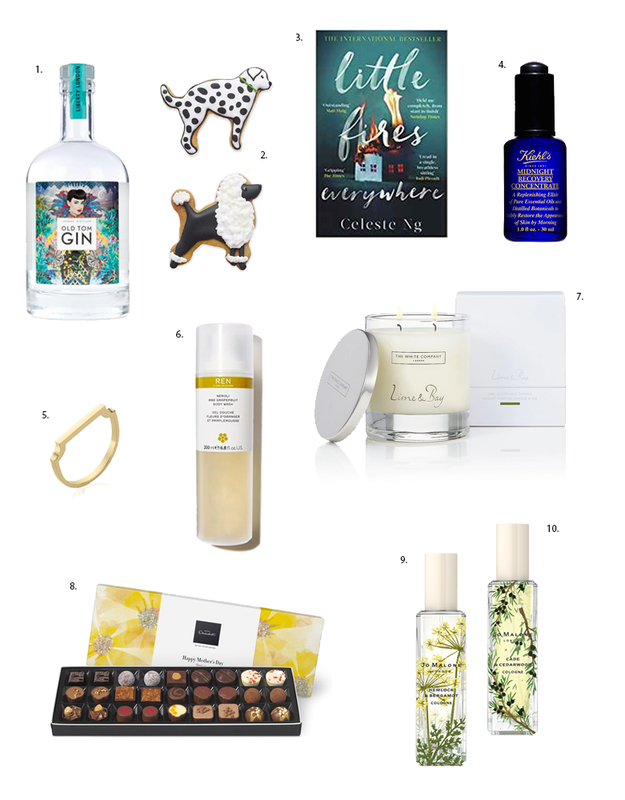 Should you need any help in selecting which pieces to bookmark, I’ve included an item of my favourite pieces below, because sometimes you just need a little nudge in the right direction. 10 Things You Might Not Know. I thought I’d start by explaining a little more about why the blog is ever here in the first place and who I am. I don’t know if this is a little odd, but it feels like something I’d like to do, to clear up a few things about me and answer some of the questions that I receive. It feels a little self-indulgent but I assure you it isn’t meant to be. I’m not one of those who is particularly ‘present’ in the content I produce, so I appreciate that for the most part it might appear like a series of detached images. Maybe this helps and if it doesn’t? Feel free to pass entirely on this one. 1. You likely won’t ever see me talking to the camera. All advice I have ever received about ‘growth’ on Instagram has been that I’ll need to be physically present in my content in some capacity. That a personality and face helps sell content and create a brand people wish to be a part of. I get that, faceless content can likely only resonate so far. I admire those who have the self-confidence to do it and especially admire those like Lisa Dawson who are so sure and confident in who they are that it’s become second nature to turn the camera around and have a conversation. I admire it immensely, however it will never be me. I despise seeing photos of myself and and you can read into that what you will! Every now and then a photo makes it to my Stories, usually with immense trepidation and immense regret seconds later. I’ve tried to push myself to do it a little more lately, but it’s a real effort. On my Instagram feed I’ve made two appearances in as many years and on both occasions I was mostly hidden. There are no plans to make any further appearances, which is one why makes a reappearance here. I have Instagram and my blog because I love to take pictures and style scenes, that’s what my content is and likely always will be. If it curbs how far I’m going to be able to take this amazing opportunity, then that’s something I’ll have to accept. 2. I do indeed have a full time job. Whilst it would be great to say millergrey was where I could devote all of my time and energy, it’s not my day job. I work for a Digital Marketing Agency five days a week and for the most part spend my weekends producing content and working on the blog. It’s an entirely different role to what I’ve done before but it’s one that works perfectly in harmony with what I try to do here. 3. All I ever wanted to do was work in Fashion. For the best part of eight years I lived in London and worked in the fashion industry, having studied Fashion Design up here in Newcastle. I graduated in the middle of the recession (2009) and to say it wasn’t an easy time to be a graduate then would be an understatement. I was incredibly lucky to land a job before I had even graduated and in the space of a few months moved from my life in Newcastle to living in a flat with complete strangers in West London and working in the design team at Karen Millen. Design turned out not to be for me, which was a pretty tough thing to come to terms with. For as long as I can remember I had wanted to be a designer. I’d made tin foil outfits for my toys as a kid, I’d sketched out designs in my text books when I should be doing multiplication; it was what I had always wanted to do. Working in design at Karen Millen taught me an awful lot but ultimately it wasn’t my taste and designing something that isn’t your taste and doing it well is a true talent. To remove yourself enough from the situation that you’re still giving someone else exactly what they want genuinely is a talent I admire. It’s sadly just not one I had. After six months I moved into the brand’s PR and Marketing teams and began a rather muddled job of working in the press office but also styling the photography for the website and various other projects like lookbooks and campaigns. As well as design I had also always been obsessed with magazines, something that continues to this day. You’ll be more than aware of this if you’ve studied any images on my feed and seen the mountains of them that fill my flat. Moving in the world of photography and styling felt like a much better fit and my aim was to try and get into an editorial team of a magazine ultimately. After Karen Millen I moved on to a company who couldn’t be more different if it tried. In the four years I spent at Sahara London I was able to visit and style shoots in Lake Como, Ibiza and Tuscany. I have amazingly fond memories of my time there and it was the place I felt like my creativity was best put to use. 4. I left London and came home. One night in early September, having stayed later at work than normal, I was walking home from the overground station when someone attacked and stabbed me. I am incredibly lucky that two men saw what was happening and ran to help, chasing the guy away and waiting with me till the ambulance came. I’ve no idea who the men were, they declined to be questioned by the police, but I’m incredibly grateful to them. I stayed in London for almost a year after it happened but life wasn’t never quite the same. I stopped going out after dark and began to politely decline invitations to do things, I stopped running in the park after work, I wouldn’t put my headphones in if I was outside the house; I stopped living like I should have been living. So, I decided to move back home to Newcastle. Newcastle isn’t my technical ‘home’ I should point out, I’m originally from Middlesbrough. I moved to Newcastle when I was eighteen for University and knew straight away I would be back here someday. It has always felt like home to me. Moving back to Newcastle came with a lot of sacrifices – mostly being all of my friends were there and my career was there. I’m still very close with some of the friends I had down there since moving back, others sadly haven’t stood the test of distance quite so well. Career wise I tried to hold out for something that felt right and settled on an online menswear retailer based in the city. I accepted a copywriting job there, said my goodbye to London and moved back. I have never regretted the decision to return to Newcastle. I am far happier here than I ever was in London. 5. I started the blog to save my sanity. I went from a job that celebrated and indulged my creativity to create images and content to a job that had me chained to a desk for long hours in, to be perfectly frank, a rather awful company. I hated it. I hated it, but it gave me the blog and it gave me Instagram because I hated it. I was determined to do something that used what I was good at and what I liked to do. I would go to work, do my job, leave, come home and get on with styling and taking pictures. After eighteen months I had well and truly had enough of the day job however and decided to look for something else. By this point I was starting to get through the first pieces of sponsored work for my Instagram feed and launched the blog. I moved on to the job I’m still in now, two years later. 6. I say no to a lot. There’s a widely acknowledged fact in this industry that posts that are sponsored or labelled as an ‘ad’ are much less successful with audiences. Engagement is lower and as a result so is the reach. I imagine that’s due to many different factors to be honest, but it’s always a little sad. Whenever I produce a piece of paid content I can assure you more time and effort has gone into it than those regular posts that fill my feed and blog. There’s a client involved and you’re trying to deliver a brief whilst still producing something you feel happy with and are hopefully proud to be posting. There are a lot of things that land in my inbox and for the most part I say no. Over the years of doing this I’ve learnt what content I want to produce and what product or brands fit within that little white world. Those campaigns I do accept I do so because I’m looking forward to creating the imagery. Sometimes it’s a total challenge and vaguely scary, which is when it can be the most fun. 7. I have absolutely no training in photography. I’ve spent a lot of my career with photographers, art directing and styling, but actually photographing things? Not so much. I’ve learnt what works and what doesn’t over the years but I’ve no training as yet. I’m sure some people will be able to spot that a mile off and my hope is in 2019 to take a course to get a little better at it all! Auto Mode can only carry you so far. 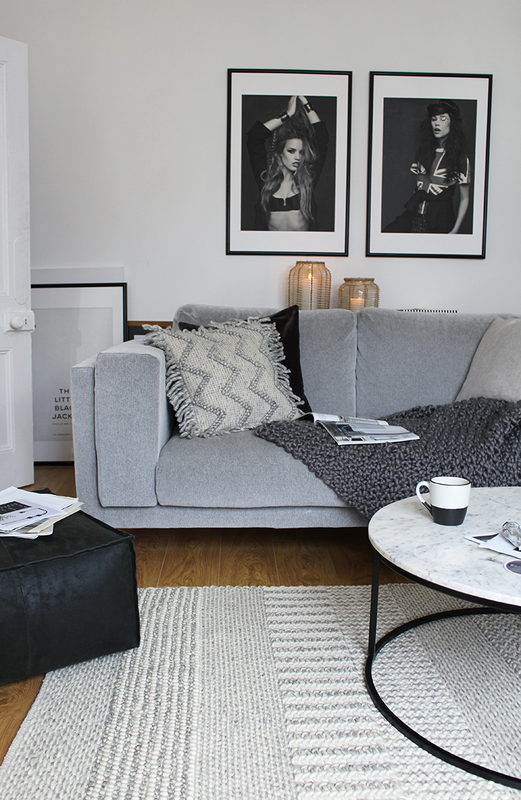 The flat that fills both my blog and my Instagram feed is rented. When I first moved in the flat was painted magnolia and a little bit shabby but I saw past that and said I’d take it immediately. Three years and a lot of white paint later and it’s been a lovely home to have been a part of. My lease is up in November and I’ve made the decision that I’ll be moving on. I fancy a change of scenery but also will likely need to find somewhere a little cheaper if I’m ever to have a deposit saved to buy somewhere myself. Being Victorian and really not well insulated, the flat comes with some very high energy bills come winter! 9. You never see my bathroom or my kitchen. The bathroom, whilst being white, is truly bizarre. The shower is back to front: hot is cold, cold is hot, on if off, off is on), the bath takes around 2 hours to fill and the tiles are sketchy to say the least. You’ll never see them arrive on Instagram and I think it’s probably the thing I get asked about the most! 10. ‘Insta-reality’ isn’t really for me. There’s a real trend at the moment for people showing you how their homes really look and the mess they can be. That’s likely also not going to be something I’ll be doing any time soon. I like to fill my feed with images I’ve spent time creating, ’cause that’s what brings me joy. I don’t want to see a messy living room any more than you do and whilst I appreciate the idea of not showcasing unachievable lifestyles, I just take it that everyone who follows me has the common sense to know that sometimes things are a little less tidy. And that’s all really, that’s me. 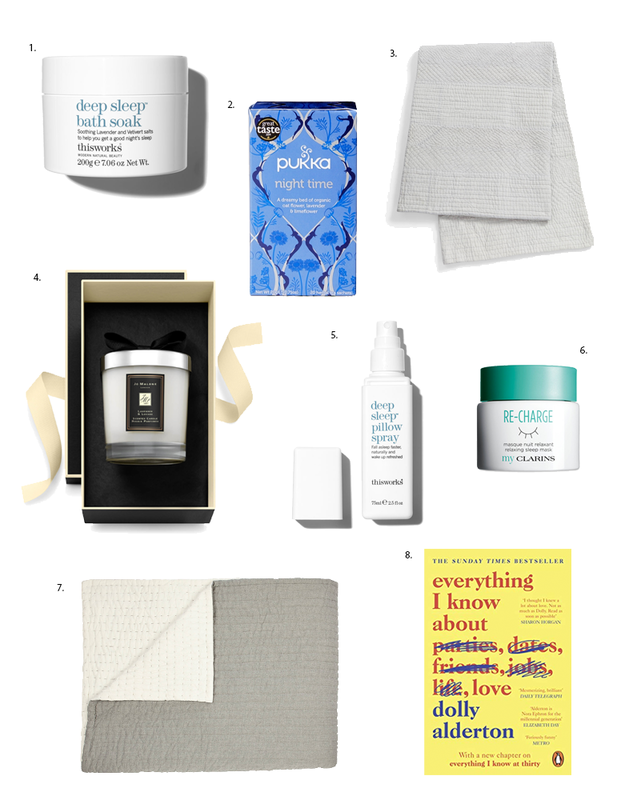 The millergrey Mother’s Day Gift Guide 2019. In my family Mother’s Day has always been quite the event. It isn’t just a celebration of my own mum, but equally of my Grandma. Both were responsible for bringing me up and both fully deserve several tokens of appreciate. It’s a little bit of a tradition in recent years that I cook dinner and everyone descends on me for the afternoon. The menu is, at this time, still TBC. I can confirm there will be an abundance of white tulips however. Unsurprisingly, I like a white table setting. For the past two years I’ve created a box of presents for both my Grandma and Mum, the idea behind it being to essentially provide everything required for the perfect lazy Sunday. Generally you’ll find a candle, chocolate selected for its beautiful packaging, the most luxe tea or coffee I could find in the Fenwick’s food hall, a book, homemade biscuits and something with a little more longevity to it, such as a piece of jewellery or in my grandma’s case, a rose plant. Just to note, some of the links below are affiliated. This doesn’t mean you pay anymore, but it does mean I could potentially earn a small commission from anything you go on to purchase! 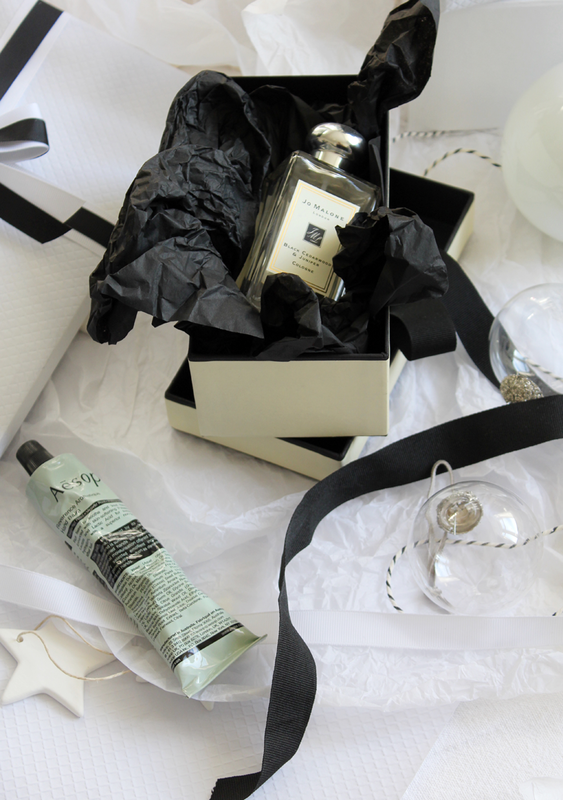 No event involving present giving is complete without a touch of Jo Malone London. Their latest limited collection Wild Flowers & Weeds couldn’t be more perfect for Mother’s Day if it tried. Personally I love Cade & Cedarwood and Hemlock & Bergamot, but there are five in total to choose from. Purchase any two and you’ll also receive a tin to present them to a very grateful mother in. Reese Witherspoon will be working on bringing a version of Celeste Ng’s novel Little Fires Everywhere to the small screen with Kerry Washington taking lead, but until then the book is well worth a read, or in this case, a gift. Gin. Because, well… mum’s like gin. In a fancy bottle. 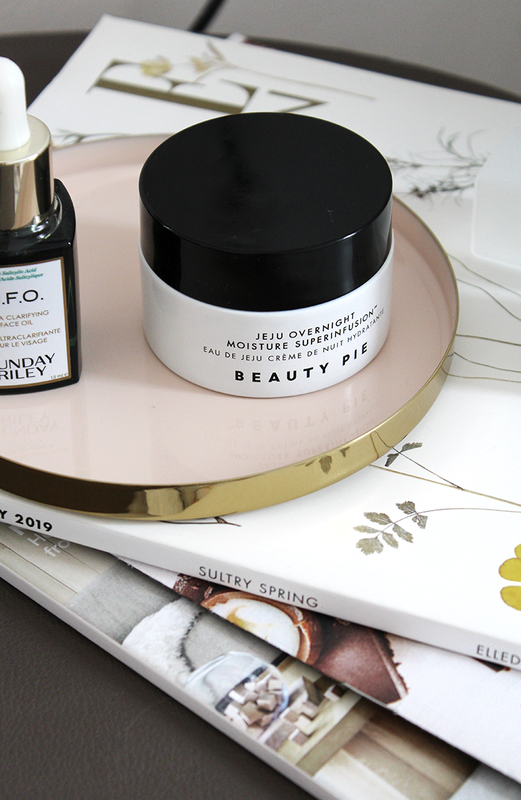 Skincare can be a tricky purchase and personally I’d advise staying clear or anything promising ‘anti-ageing’ and instead go for a cult classic. I’ve used Kiehl’s Midnight Recovery Concentrate for years and there’s a reason millions of women (and men) around the world do too. Ren’s Neroli scent is glorious – treat yourself to a bottle whilst you’re at it. I’ve a preference for minimalist jewellery, something timeless and sleek. 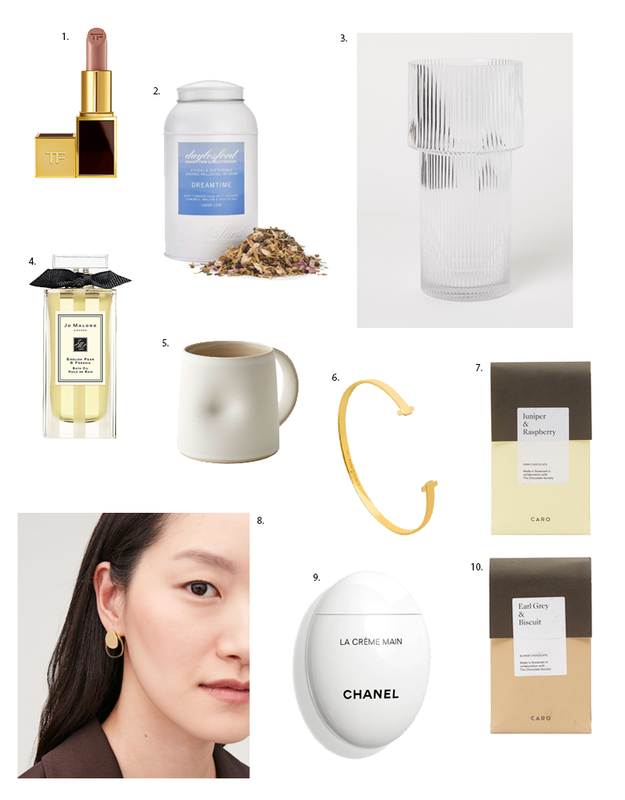 Monica Vinader’s simple gold ring is absolutely perfect for all tastes. 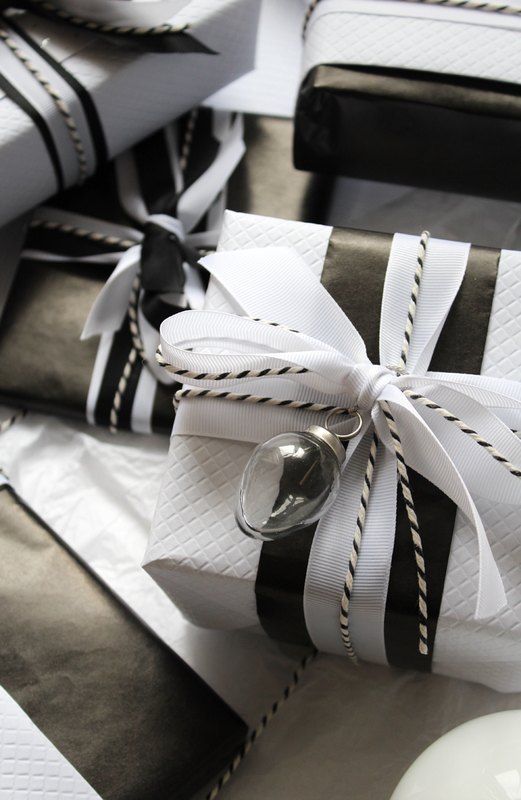 Who could ever object to receiving a gift from Tom Ford? The Boys & Girls Lipstick collection features a plethora of shades named accordingly. Who knows, you mean even be able to gift yourself. You’d be hard pushed to find a mother who wouldn’t be happy with a spot of Chanel either. A friend bought me this Chanel Hand Cream for Christmas and it’s been in my bag ever since. Designed as what can only be described as a squishy egg, it’s highly satisfying to use. You could send a rather expensive bouquet of flowers from a whole host of online sites but for me they invariably disappoint and come with vastly inflated prices. 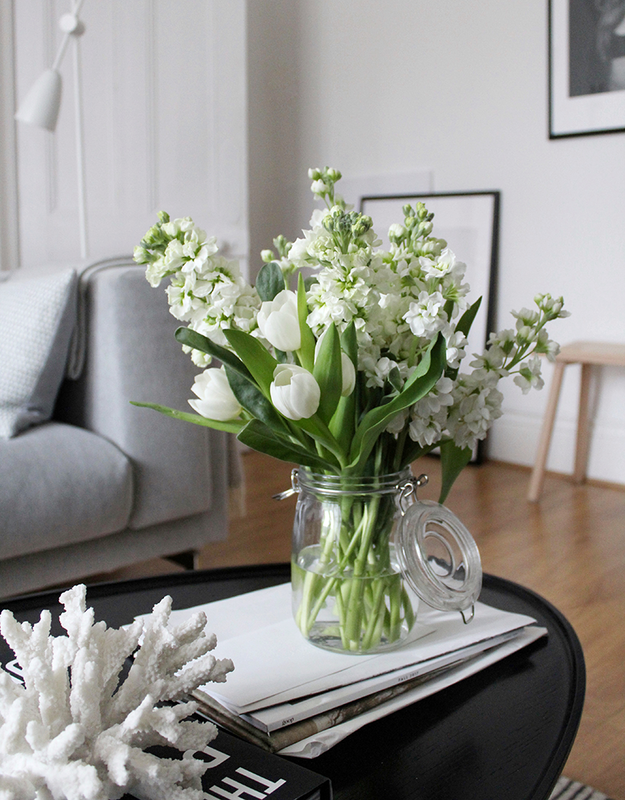 Invest that money into a stylish vase like this H&M one and buy the flowers from your local M&S and arrange yourself. Half the price, twice the gift. Making The Most Of A Small Space With Habitat. 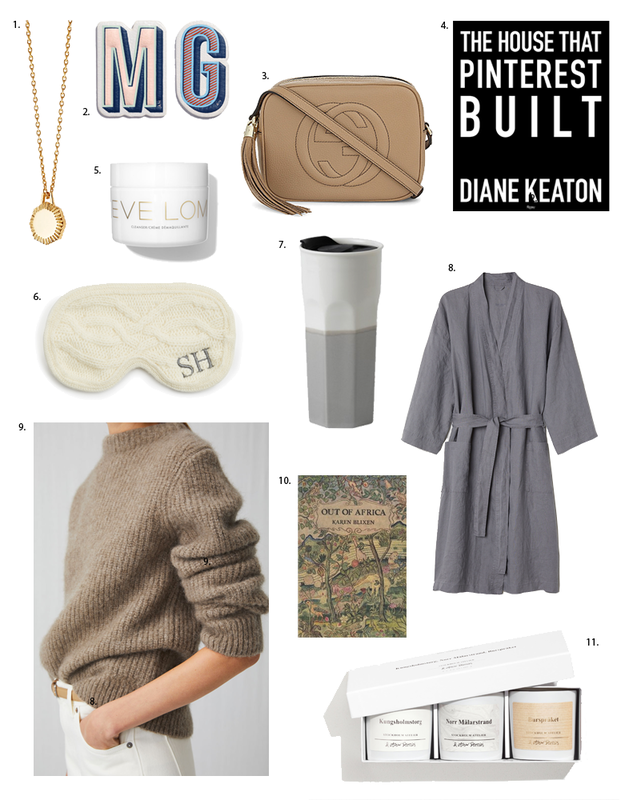 This is a sponsored post produced in collaboration with a brand I genuinely love, Habitat. If you also follow me on Instagram you’re likely to have seen snippets of my bedroom over the years. The bedside table perhaps, or the side of the bed and vague hint of a window. It’s a tricky room, not just to photograph but to really do too much with. Small and badly designed; the bed can only possibly go in one position, it receives no direct sunlight, the only plug socket is in a useless position and an ugly radiator restricts what furniture can even be brought in. 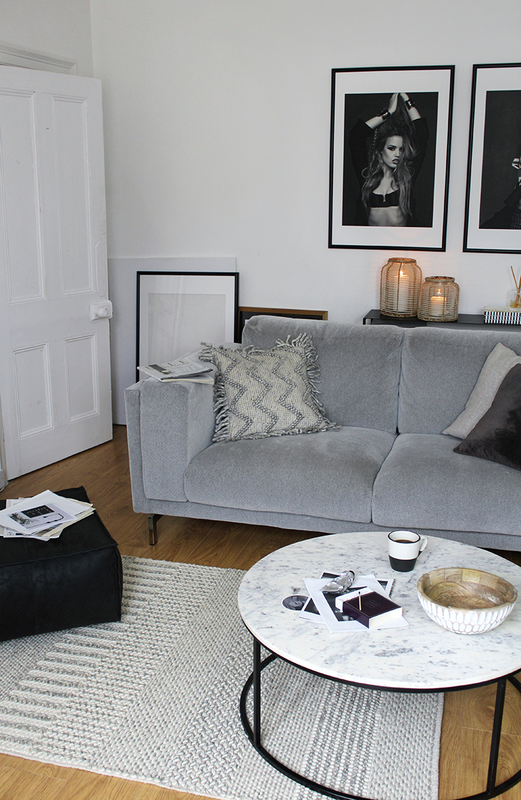 You might not be aware but I rent the flat that features throughout the blog. Because of this the only changes I can ever really make are superficial ones. Sadly I’m not in a position to be moving around electrics and eradicating radiators. I decided late last year it was about time I took a fresh look at the room however, hoping to not only improve the way it works as a room but to try and give it a little bit of style. Up until now it’s been the most minimal room in the flat. 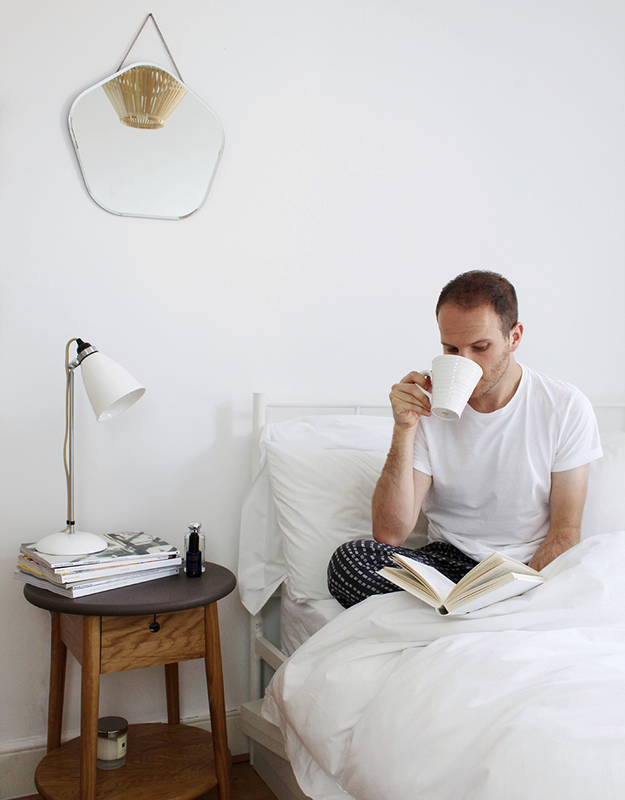 I moved in, painted it white, hung a mirror and a few frames and then climbed into bed. With a little help from Habitat’s Small Spaces campaign I’ve been trying to address some of the issues that are fixable. It’s very much still a work in process and there’ll be more content to follow as I make more changes, but the bare bones of defining how it works as a room are definitely now in place. I’d love to offer up some huge reveal with drastic changes warranting gasps and shocked face emojis but unfortunately that’s not going to be happening here. Whilst there are some stylistic changes, the real focus here is simply making things work better for me and to make the most of the space that is actually useable. Style is all good and well but a room has to actually work for you. Storage is a very real issue for me in this flat. I’m a minimalist who also likes things. It’s a conundrum. 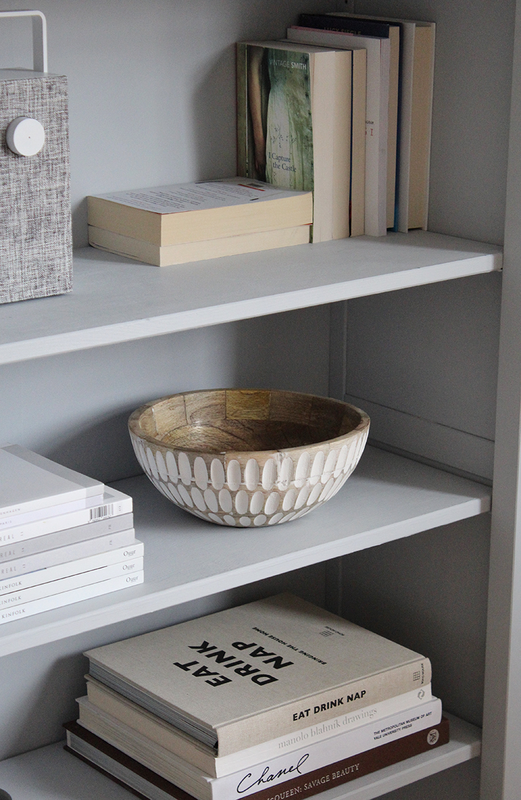 The flat has no built in storage anywhere – no useful cupboard or handy nooks. Nadda. The chest of drawers I used to have in place were subjected to a very strong level of hatred for several years. 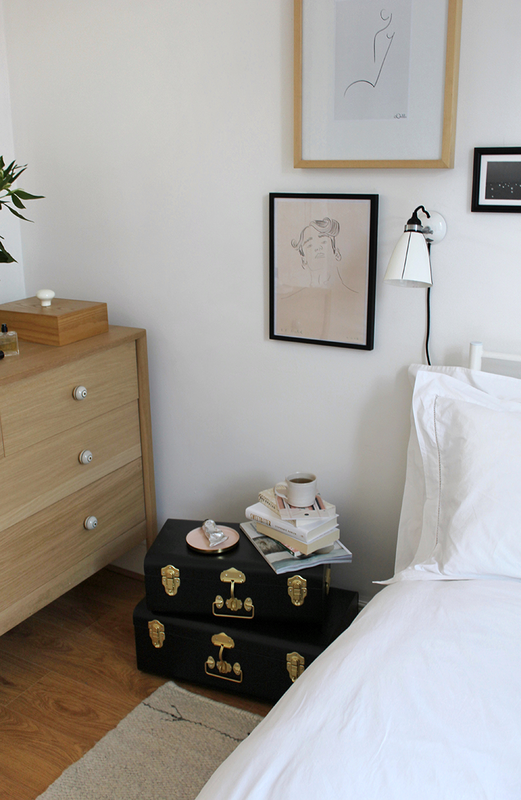 If you’ve read my blog before you’ll know I’m a big fan of the Swedish house of blue and yellow, what I am not a fan of however is the fact every single piece of furniture from there that contains a drawer will inevitably have its bottom fall out. It blows my mind that they still haven’t solved this problem. The first thing I needed to do was to update the drawers. The previous drawers were rather heavy looking, with only a small gap between them and the floor. That means a big oak piece of furniture went straight on an oak floor, making everything feel heavy and clunky. After much deliberation I opted for the Franklin chest of drawers from Habitat. They’re actually larger and longer in size than what was previously in the room but their elevation off the floor due makes it appear much lighter. They’re also a very, very good quality piece of furniture. Over time I’ve been slowly working my way round my flat, updating pieces of furniture I bought when money was more of an issue with solid, quality pieces of furniture that will last. Sometimes they’ve been amazing eBay finds and sometimes they’ve been things I’ve saved up for. I firmly believe that furniture you actually use should be where you invest your money. 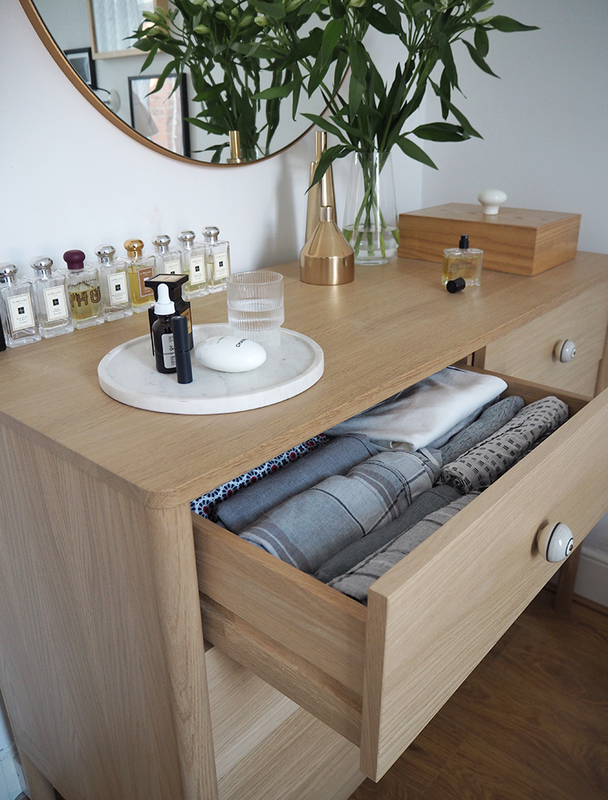 A wardrobe, a chest of drawers, a chair you’re going to sit in regularly… If you can save money on smaller items that see little wear and tear, then by all means do! In the case of drawers however, I open and close each of those drawers at least twice a day. They need to withstand some use. I used the opportunity of working with Habitat to select a piece of furniture I absolutely know I’ll have for life, but more importantly that I’m confident will actually last! The tiny mirror I’d hung beside my bed when I first moved in was never really all that practical. What working with Habitat made me realise is that I was missing a huge trick in not using a mirror to bounce what light there is back around the room! The room gets absolutely no direct sunlight other than in the evening at the height of summer, so for the most part it can feel quite flat. The only window is positioned on the back wall, parallel to where the chest of drawers sit. 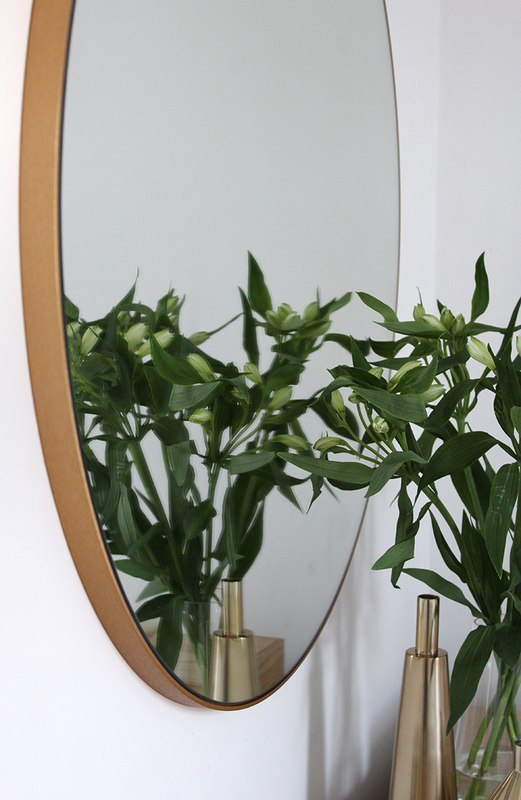 Placing the large Patsy mirror above the chest of drawers not only creates a dual purpose piece of furniture (hello nice dressing table set up) but it effectively gives the room a second window. It’s such a simple trick I’m quite disappointed in myself for not having done it earlier but we’ll try to dwell on my own stupidity. Whatever light does come in is now bounced back to the other side of the room. If there’s one change I’ve made that’s made the biggest difference, this is it. Patsy has worked wonders. I went for the large gold version and couldn’t recommend it enough. 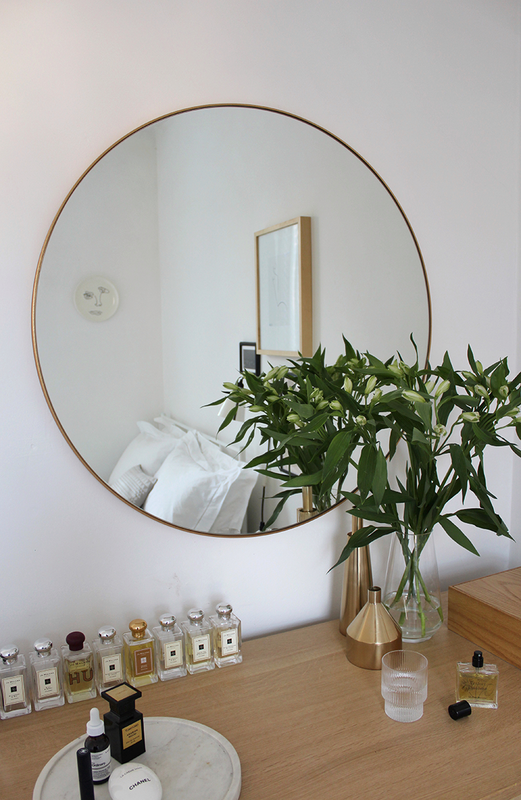 Again if you’re familiar with my flat, you’ll know I have a bit of a thing for round mirrors. Four out of the six rooms feature a huge one. I’m quite fine being a one trick pony. If I (weirdly) had to rate my furniture on its popularity, my bedside table would be Prom Queen. Never have I received more messages about something in my flat. I love it, you love it, but is it practical? No. Storage wise it was almost useless. It offered nothing more than a tiny drawer in which to keep my handcream. In a future home where storage isn’t quite such an issue it will come into its own. For now it has gone into the spare bedroom to greet my many guests, most of whom don’t come with storage needs. In its place now sit two large metal trunks. 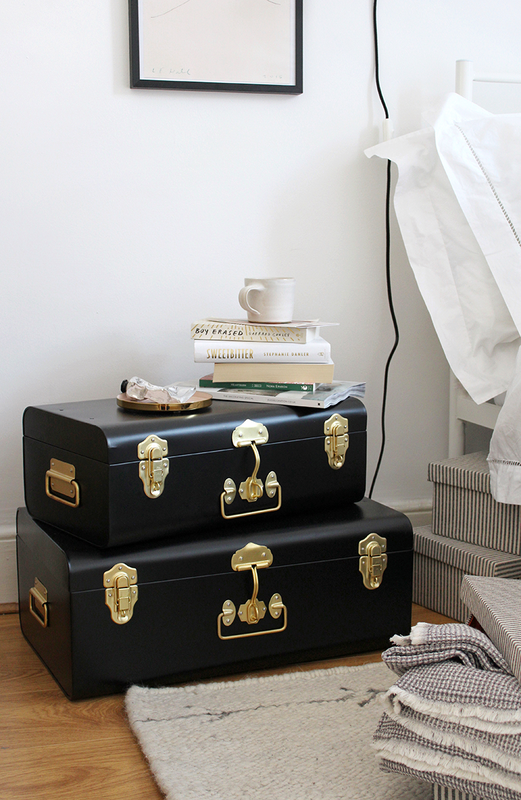 They’re not conventional as a bedside table I know, but the storage they offer is invaluable. The drawers house my clothes, the chests house all those other things you forget will take up so much space. Bedsheets, towels, the vast selection of winter scarves you seem to have amassed throughout the years. Stacking the two on top of each other brings it to the ideal height to place your cup of tea and a book on. Beneath the bed a series of striped fabric covered boxes now house everything from unread books to shampoo that makes my head itch but was too expensive to just get rid of. An altogether more attractive set of storage than the cardboard boxes that had been there previously. I’ve temporarily hung some frames and the beautiful Elle Hookwood plate a friend bought my for my birthday, but I’m still yet to get to the bottom of how I want the room to look. Ultimately I want to update the bed to something wooden with fine spindles. Perhaps there’ll be a picture ledge above it, I can’t decide. For now at least the room is actually functional. 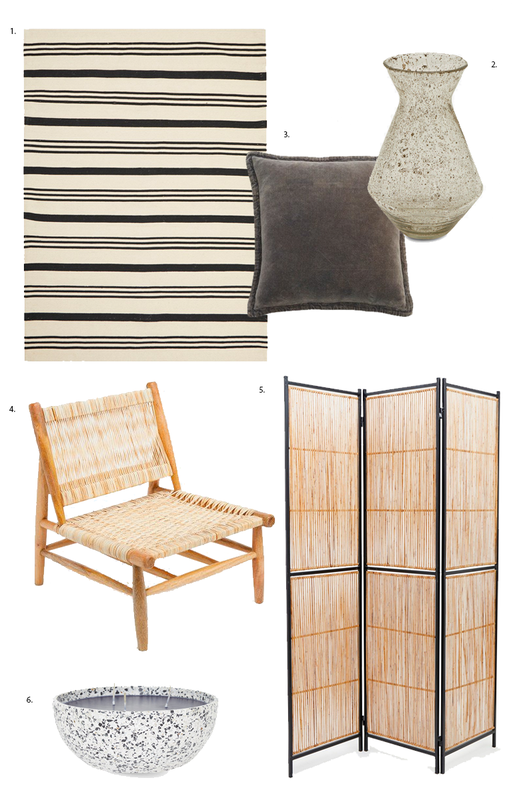 You can shop all of the pieces featured here from Habitat via the links throughout the blog post. Just to note, these are affiliate links. This doesn’t cost you anything but just provides me with a small commission should you go on to purchase anything featured here! 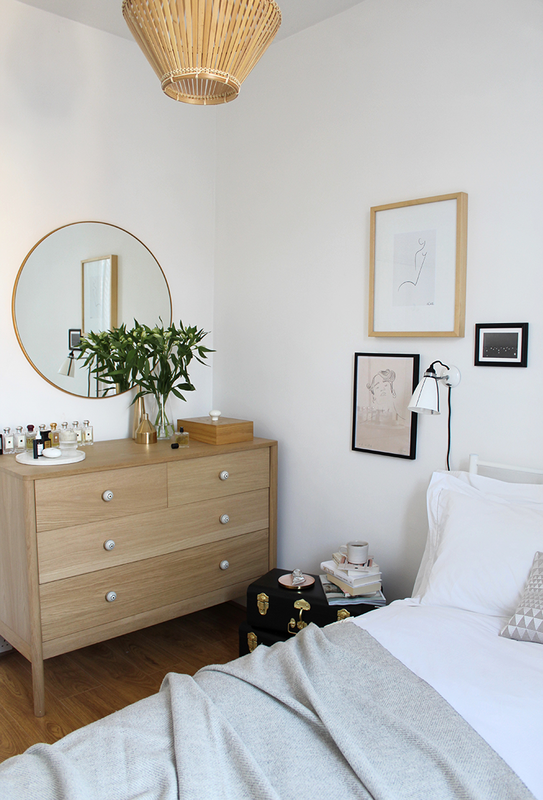 If you’re trying to work out exactly what to do with your own small space, you’re in luck. 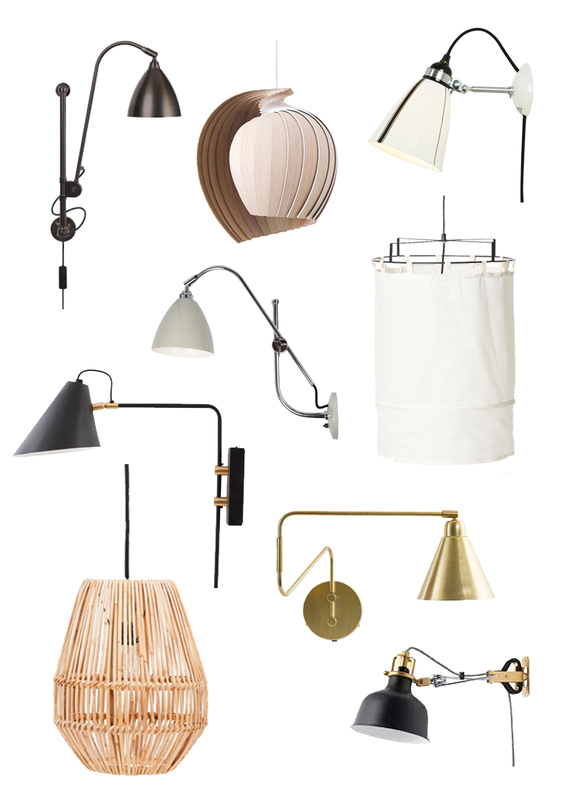 Habitat have created a handy hub of ideas and inspiration. Visit the Small Space Living feature here. 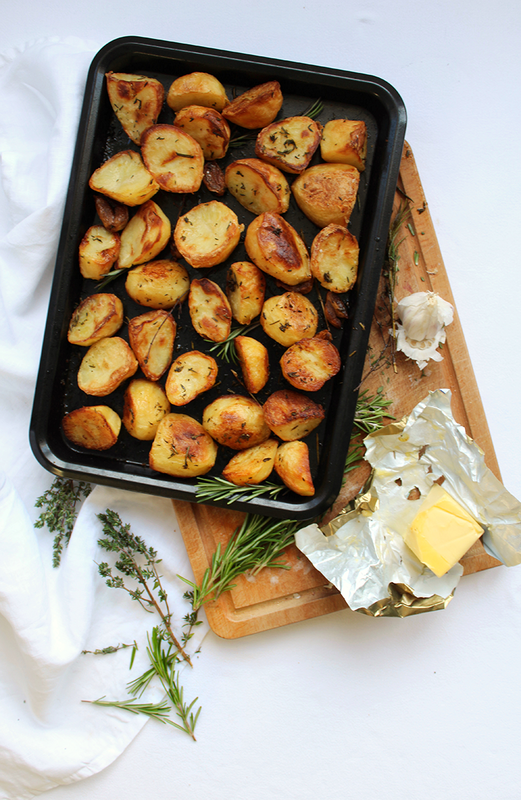 How To Make The Best Ever Roast Potatoes. I firmly believe the roast potato is the King of the Christmas Dinner. 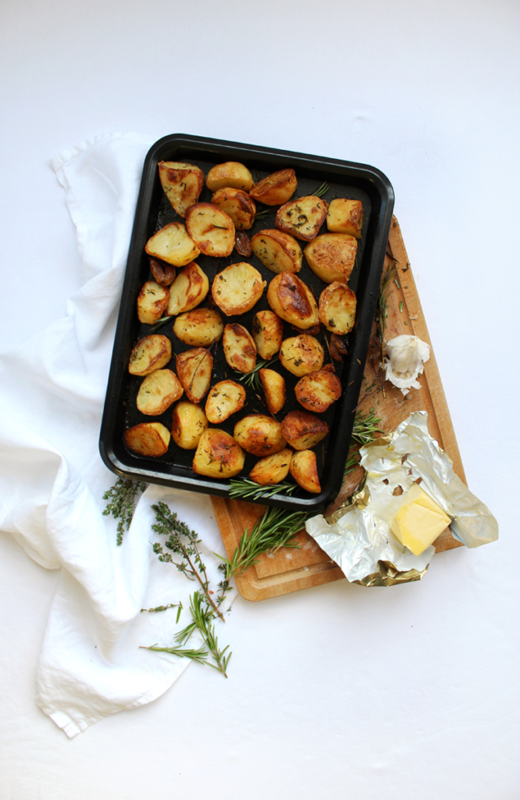 Perhaps it’s because I’m a vegetarian and everyone else’s King (the devil on horseback) doesn’t land on my plate, or perhaps it’s just because years of practise, trial and error have lead me to a recipe that creates the perfect roast potatoes, who knows. Regularly updated list of the best casino welcome bonuses with advanced filtering. Look them over and find the best casino bonuses for you. Claim cannot be made for this entire recipe; it’s rather an amalgamation of hints and tips from all sorts of sources over the years. 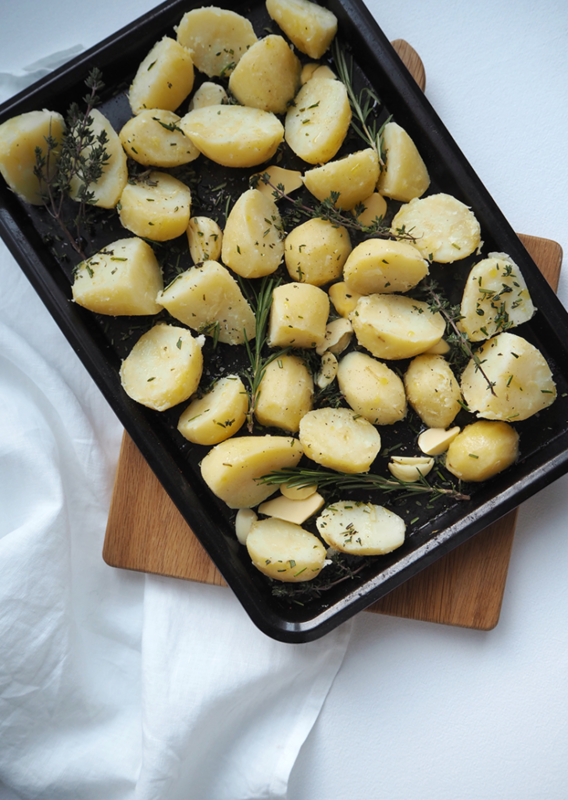 All the same, following the steps below should mean you find yourself with a tray of the world’s finest roast potatoes. Maris Pipers are the best potato for the job, the perfect amount of fluff to them. Peel the potatoes and with the average sized potato, chop them into three. Your aim is to try and get as many sides to the potato as possible, the more sides the more edges there are to get crispy. The smaller potatoes are fine to be cut in half, but do it at an angle to achieve a bigger surface area to the side. This can all be done the night before, leaving them in a pan of water with the lid on. Turn on the heat. From the point the pan starts to slowly bubble set your timer to 12 minutes. It should be fully bubbling away by the end of that time. Drain the potatoes into a colander (in several batches if required) and shake to ‘fluff’ the potatoes. You don’t want them to break down, you just want the edges to bash and go fuzzy. Tip onto your trays and spread out well. The reason they don’t go crispy can often be because they’ve been too close together, they need space to crisp up, so if you have to go over two trays – do it! 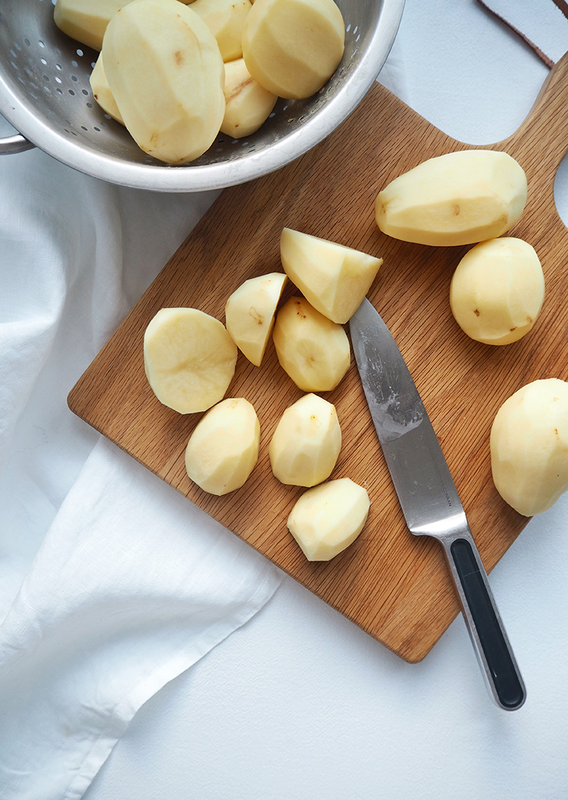 Place your peeled garlic on a chopping board, then with the back of your knife press down to break them. Add to your baking trays amongst the potatoes. Pluck the thyme leaves from the stalks, this will take some time but the twiggy sections don’t soften whilst cooking so won’t be pleasant! Sprinkle over the potatoes. Strip your rosemary from its stalks and chop roughly before also sprinkling over, with sea salt flakes and a healthy grind of fresh black pepper. 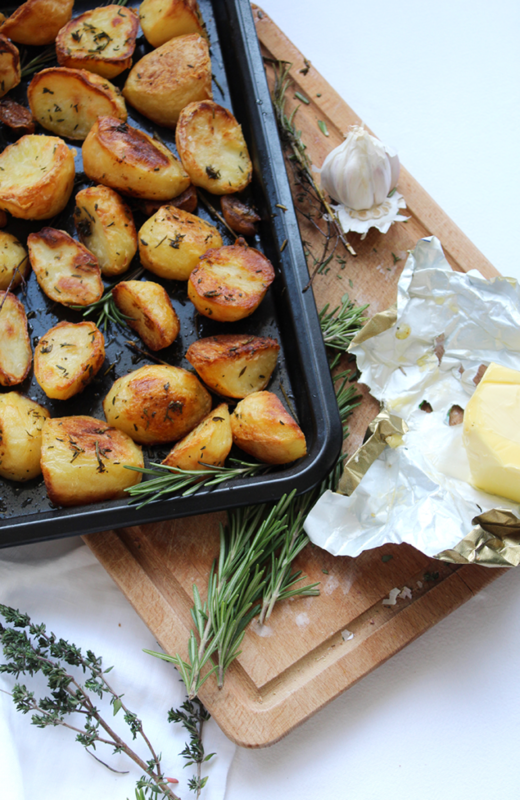 Take your olive oil and drizzle over the potatoes, being careful not to over do it. You don’t want to be too liberal here. More can always be added later. 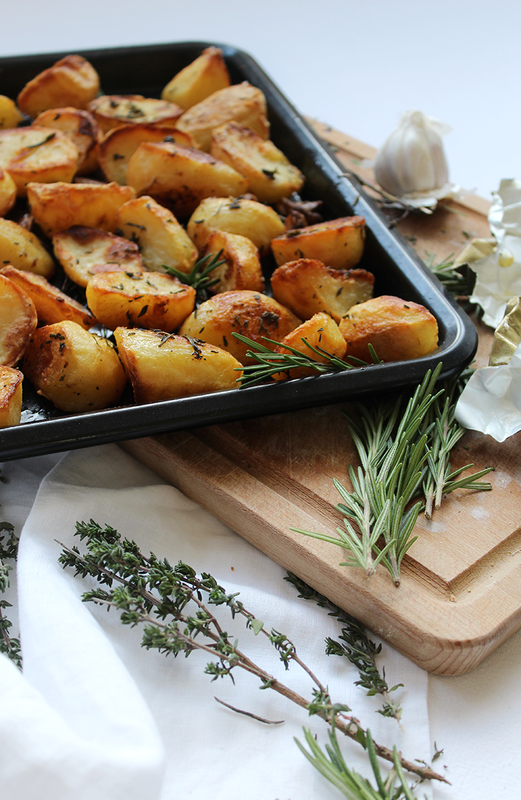 You can add any remaining thyme or rosemary sprigs to the tray too, for extra flavour. Chop the butter into cubes, slotting between the potatoes on the tray. Pop in the oven for a good 40 minutes at 180 degrees fan. After 40 minutes use a spatula to turn them over. Return to the oven for a further 30 minutes, cranking the heat up to 200 degrees fan for the final 10 minutes. Serve immediately for ultimate crispness! 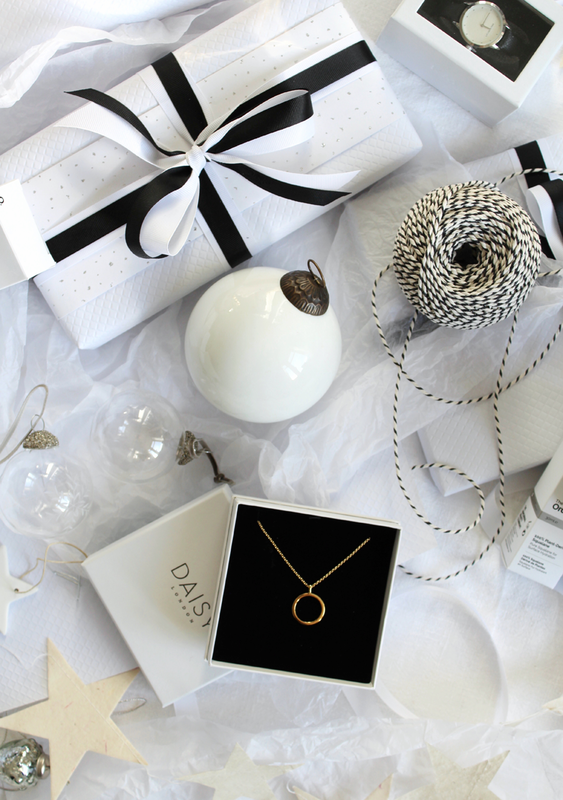 5 Ways To Get Yourself In The Festive Spirit. This is the part of the festive season where you wonder how it all arrived quite so quickly. Surely it isn’t only two weeks away? You planned to make chutney, sip mulled wine whilst watching Home Alone and dance around the tree to Wham. Well, it’s fast approaching and if you’re not careful you’ll forget to enjoy it under the pressure of trying to get everything done. You should always enjoy Christmas. It’s time to get into the festive spirit. No matter how busy or manic you might be, if you don’t enjoy the season and the extra time and attention you to get to spend on those that mean the most, then you’ve kind of missed the point. 1. Set The Scene. The 4 Best Christmas Scents. It likely won’t come as a surprise to you that I’m a big believer in the power of scent. You name an occasion, situation or mood and I’ve got a candle for it. 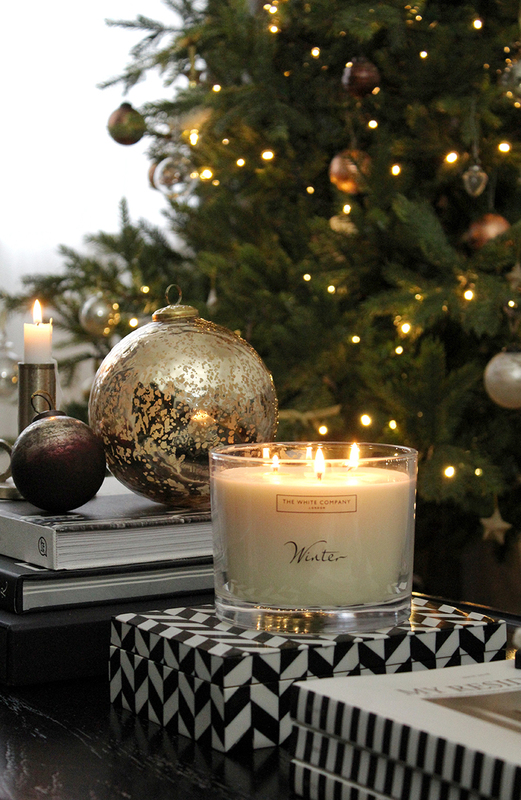 Christmas is one of those occasions that comes alive with a scent. A smell can evoke so many things and I’m not sure thats ever more apparent than at Christmas. A true classic of the genre. 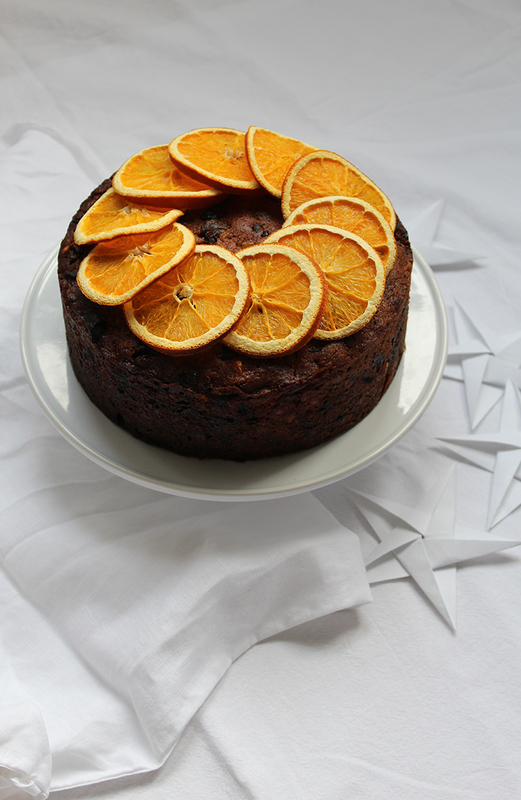 Warming, festive and in the nicest possible way, potent. On the 1st of December, as I extract the baubles from their dusty holiday home beneath the bed, this is the candle I light. It is to all intense and purposes Christmas in candle form. I’ve said it many times now, but it remains as true as ever. I like to smell like a fruit. Orange Bitters is that kind of warm zesty scent that makes you think of a gooey chocolate orange liquor rather than a blossom filled orchard. It’s a little less traditional but in no way any less festive. Perhaps you don’t like cinnamon and spice. Some people have a real aversion to those scents. Ambre is warm and smokey, without being overbearing. 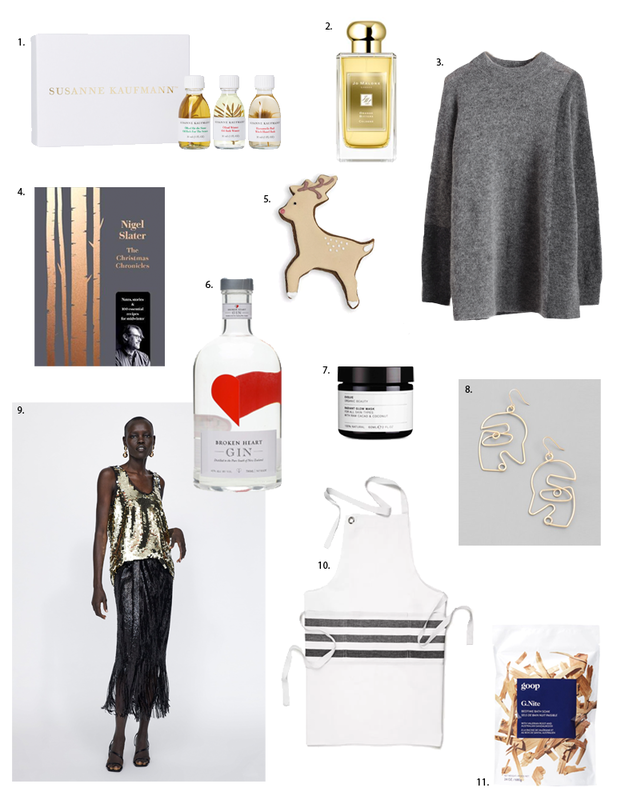 It isn’t overtly festive but cosy and caring, perfect for those who want to dabble in something wintery without feeling like they’ve ventured into a spice rack. 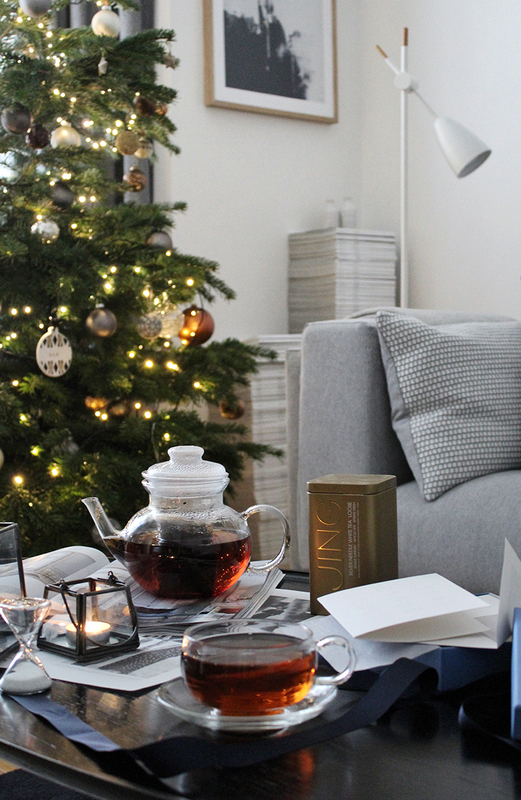 If you find yourself longing for the scent of real Christmas then Skog could be the answer to your prayers. There are many fir tree scents out there; all with varying levels of pine. For me they can often smell a little like toilet cleaner… Skog is quite light in comparison. Fresh and clean. If someone was to create a candle that portrays being in a snow covered pine forest in the Swedish countryside, this would be it. 2. Don’t Rush. 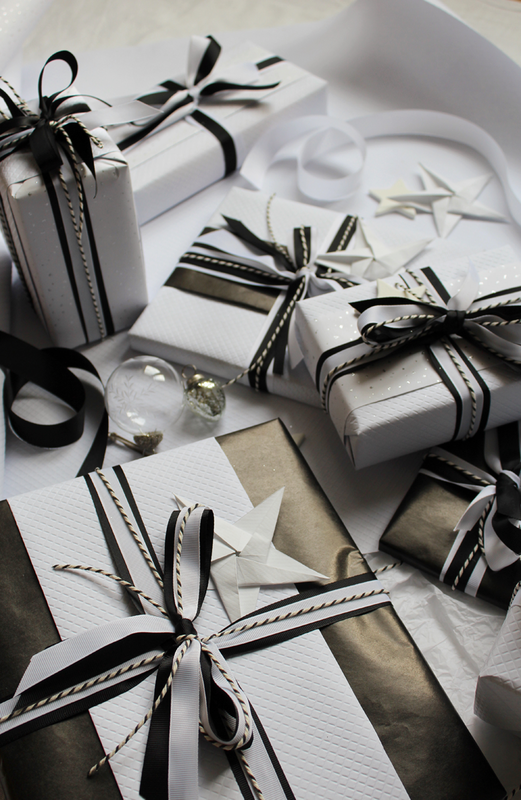 Wrap A Present A Day. I think why most people dislike wrapping presents is due to the fact they try to fit the task into the day before Christmas, haphazardly trying to find the end of the Sellotape as they clumsily attempt to render the shape of a teddy bear unrecognisable with shiny paper. Stop. Take your time. You have two weeks. A present a night and you’re likely done. If you’ve already bought some presents then sit down on a quiet evening, put on a Christmas film or a rerun of The Vicar Of Dibley and enjoy it. It should be a pleasant job. You’ve bought someone a gift, this is your chance to celebrate what you’ve done. If you’re not the most talented wrapper, fear not. YouTube arrived for a reason. If you search for it you’ll find videos on everything from tying the perfect bow to wrapping a cylindrical shape. 3. Take Some Time. Write Some Cards. Sending Christmas cards has sadly become something very few do now. Personally I’ve never stopped. Over the years the quantities have most definitely decreased but still, every single year I sit down with a mince pie and a book of ridiculously over priced stamps and I write my cards out. A lot of the people I send cards to aren’t those who I see all that often so it always feels nice to write out a kind message of well wishes, more than likely finished with a comment about having to meet up soon, despite the fact we never quite got round to it this year. It’s a nice task. It feels calming to write something I always feel? To nearly write an address on a perfectly white envelope before positioning a jolly red sticker in the corner. It’s a lot art, I say we bring it back. This year my cards have come from Mark + Fold, a small British brand I absolutely love. You’ll be able to see more of them very soon. 4. Plan Ahead. The 4 Christmas Cookbooks You’ll Have For Life. Planning makes me happy, as does making a good list. The act of planning the Christmas dinner, writing the list of things to do and the things I’ll need to buy is one of my favourite parts of the season. I make a pot of coffee and I settle down with my books, Post It noting every page that catches my eye. The Christmas Chronicles, Nigel Slater. This book requires some time spent with it. It’s filled with recipes but it is more than that, it’s a book to be read. It walks you through the season right from October and finishing in early January. Last year I made the Christmas Cake recipe from this book, it’s a little unorthodox in that it doesn’t feature a single spice, but it’s incredible. I made it again this year and shipped off bundles of it to my family. The toasted hazelnuts and sour cranberries are perfect against the sweet icing I lavish on top. Yes, she does advise buying a huge plastic bin to brine your turkey in. That is undeniable, but once you move past that it’s a book filled with dishes I come back to year after year. It’s a tradition in my house that New Year’s Day features Nigella’s Gleaming Maple Syrup Cheesecahke. It’s not overly sweet and the base is peppered with crispy pecan nuts; it’s the perfect antidote to the night before. Delia’s Happy Christmas, Delia Smith. The reason I love to cook is Delia Smith. I watched her religiously as a child and still have the huge tome my mum bought me for my eight birthday. It’s one for the most traditional of Christmas dinners, your fail safe. Cranberry sauce, classic stuffing recipes – it’s all here. Truth be told this isn’t really my style of cooking anymore… but it just captures the traditional family Christmas so well. If you need to brush up on the basics of preparing the perfect roastie, this is the book for you. Jamie Oliver’s Christmas Cookbook, Jamie Oliver. I’ve always been a little jealous of Christmas at Jamie’s house. It always seems so big and full of life, so many people crammed around the table and sloshing gravy about the place. In a way this is the polar opposite to Delia Smith’s book; everything is modern and updated for the way we eat now. The deserts are pretty epic here, especially if your family has a strong aversion to Christmas Pudding. I can’t vouch for it being a vegetarian, but each year I make Jules’ Gravy from this book and each year it goes down a storm. 5. Take To The Kitchen. Give Something Homemade. Last year I set myself the challenge of making my friend’s and family’s main presents myself, in addition to my usual round of jam, chutney and biscotti. It was a task I won’t be setting myself again anytime soon, I’m not sure I’ve ever had quite such a stressful Christmas. 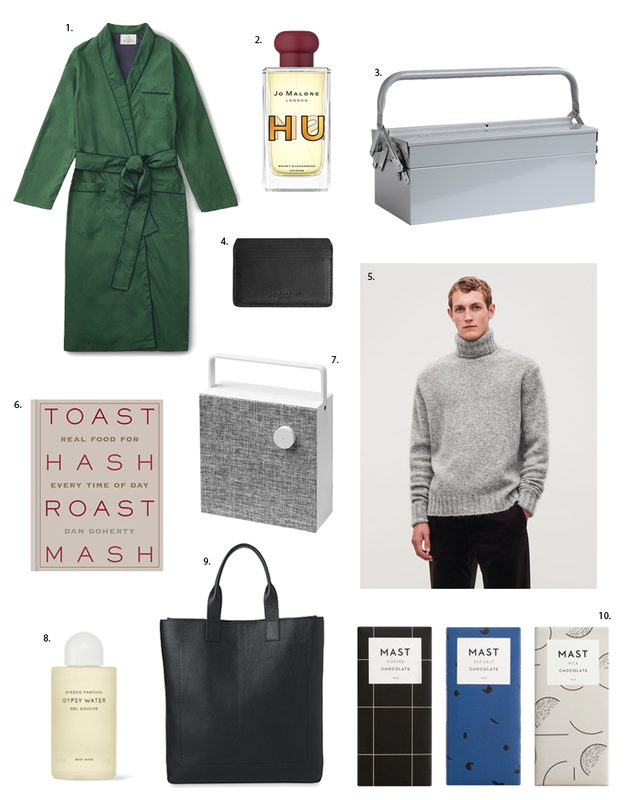 Flannel pyjamas for long limbed folk, monogrammed dressing gowns for best friends and leather shopping bags for mothers, I tried it all. It nearly broke me. As a result I try to take it a little easier with the homemade gifts now. Each year I deliver overflowing tins of biscotti (a handy and easy little recipe for which you’ll find here), chocolate truffles, honeycomb pieces and ramshackle piles of shortbread biscuit. Generally they’re placed inside glass jars from IKEA and all in all cost little more than a fiver. There’s just something about receiving a homemade gift that feels so special. Someone spent time on it just for you. It’s almost as satisfying as making a gift for someone. Most of you know will know by now that to me the wrapping of a present is just as important as what’s inside. Aside from decorating the tree, Christmas gift wrapping has to be one of my favourite tasks of the entire year. After last year’s semi-rustic brown paper wrapping scheme I wanted something really different for 2018. There was a brief moment everything almost went green. Very brief, but it was there. I found the paper, I could see it all taking shape in front of me… and then I came back to earth. I’m not ready for that level of colour just yet. So, as you may probably have guessed from the abundance of imagery, this year’s scheme is entirely monochrome. 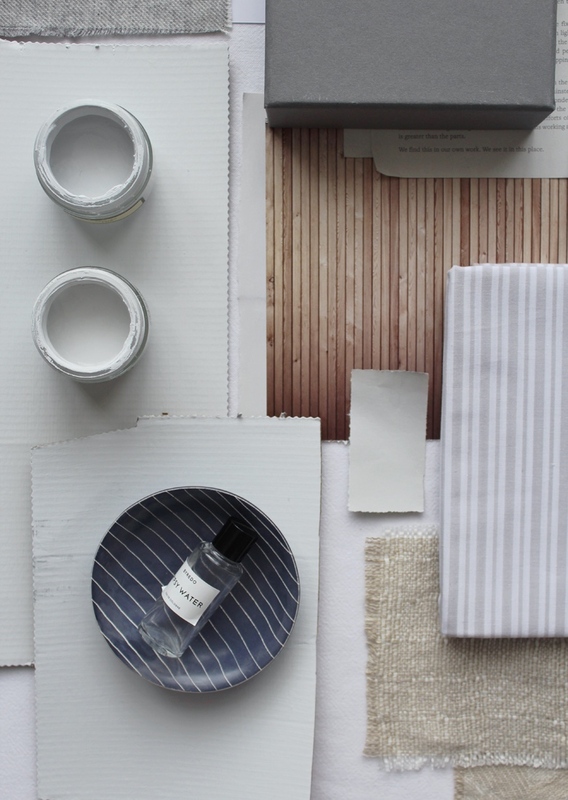 It all began back in September when I spotted this textured white paper arrive on The White Company’s site. 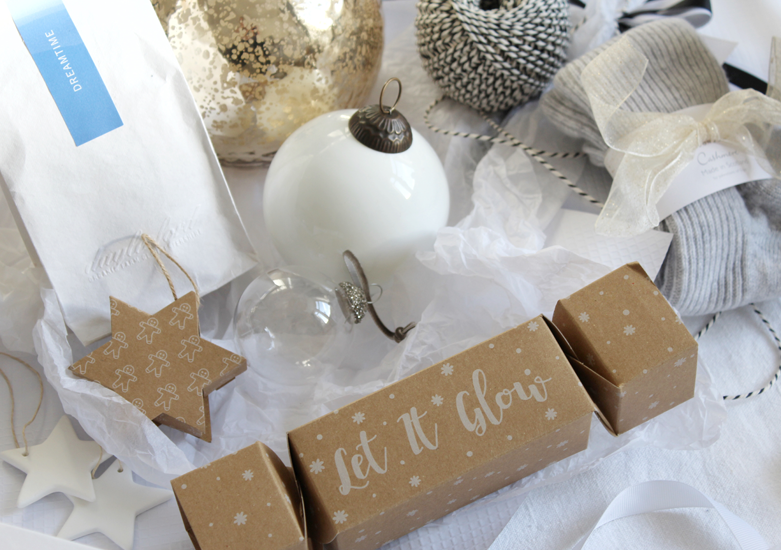 White paper is tricky, not many shops actually do it without it being drenched in glitter, something I can’t say I’m a fan of – see ‘A word on glitter’ below for further details. When I’m deciding how to wrap my presents generally I pick a hero wrapping paper that’s a little more expensive, in this case the textured white one and then look to find ones that compliment it. Usually this means a trip to IKEA, I’m a big fan of their wrapping department. The black craft paper you see here is from IKEA, priced at £1.75 for 5 metres. 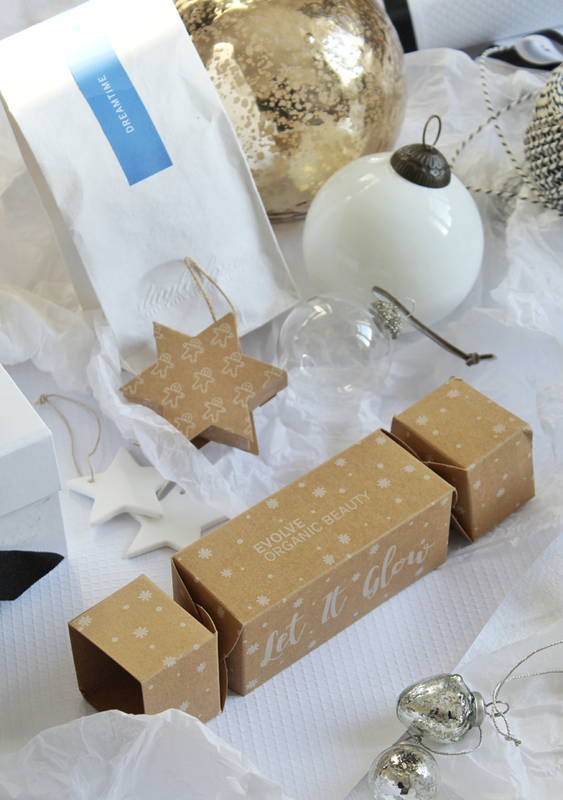 You can also find great little boxes and packages for those difficult to wrap shapes. 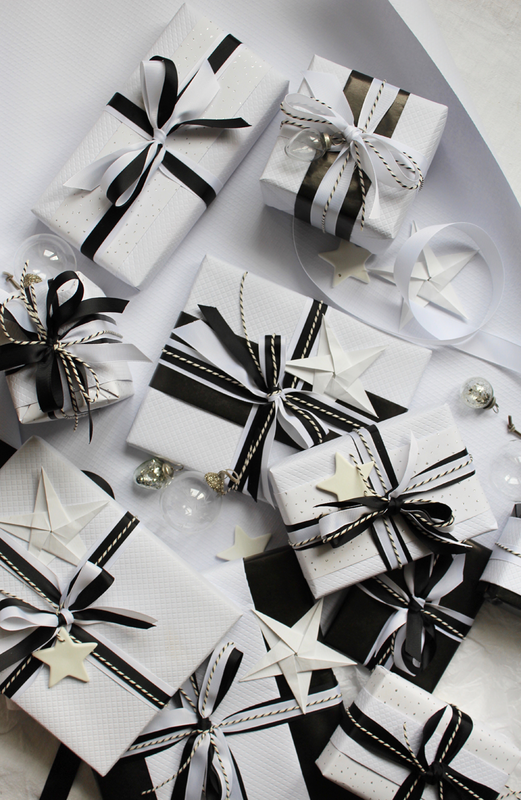 If you’ve never thought to check IKEA for your wrapping needs, you’ve been missing out. 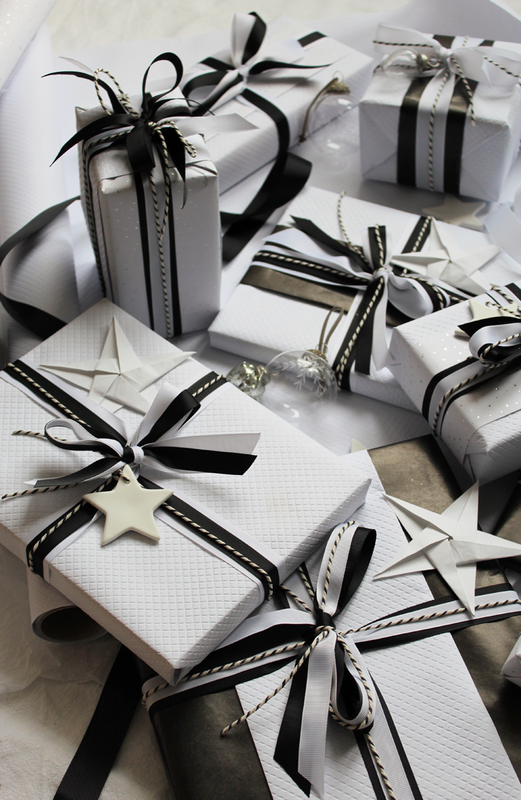 To wrap the presents I alternate between the white textured paper and the black one, so there’s a good variety going on. Every now and then there’s a hint of another paper, generally left over ends of rolls I might have in my Wrapping Paper Basket, which yes, I do unashamedly own. Generally each present also has a ‘belly band’ of contrasting wrap. Dreadful term for it but there you go. To make these I simply fold a contrasting piece of paper into a long strip and then fold over the cut edges. Stick in place with clear ‘Magic Tape‘. Don’t go to all the effort of making your wrap incredible and then stick on some horrid shiny tape people. Think of the big picture. I always purchase my grosgrain ribbon from eBay. It is simply the cheapest way to do it. Here there are two different grosgrain ribbons, a 6mm and a 10mm. I layer them over the top of each other usually, so it’s nice to have a contrast both in colour and sizes. The grosgrain used here comes on a 25 metre roll with prices from £2 a roll. Buying you ribbon from high street stores is likely going to cost you a fortune, eBay is a great way of helping you keep costs down. The monochrome twine was a last minute addition. It all felt like it was missing something, so back to eBay I went. It won’t appear on every present, but it’s a nice little addition that brings both colours together perfectly. 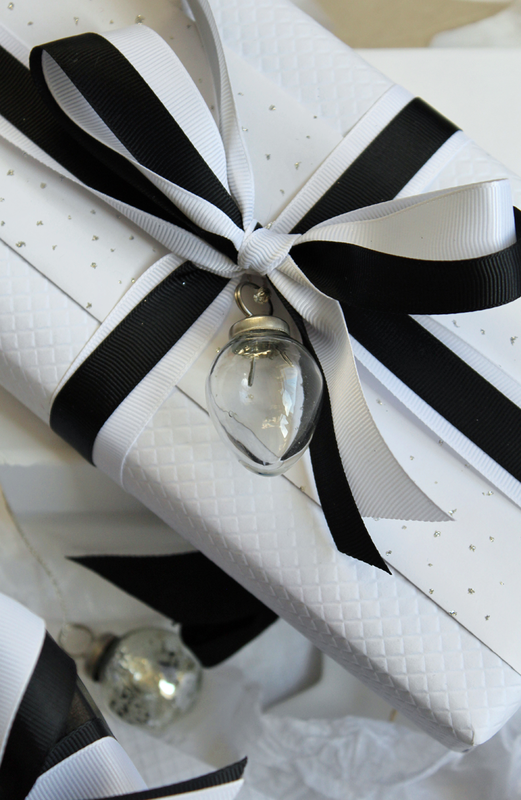 It’s also very handy for adding on your gift tags and any little extras you might want to add. This is where the fun really is. 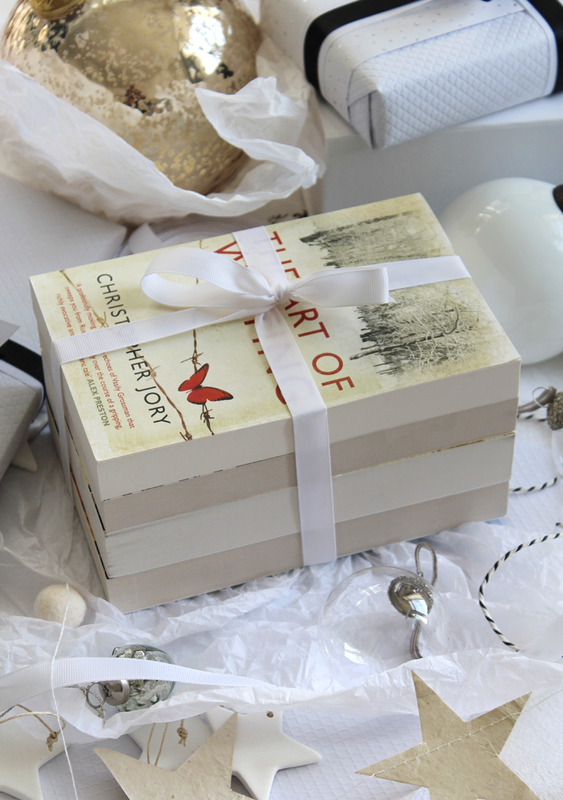 Once your presents are wrapped and you’ve negotiated the tricky task of tying bows with double ribbons, you can start to add all the amazing little extras that will make them really unique. 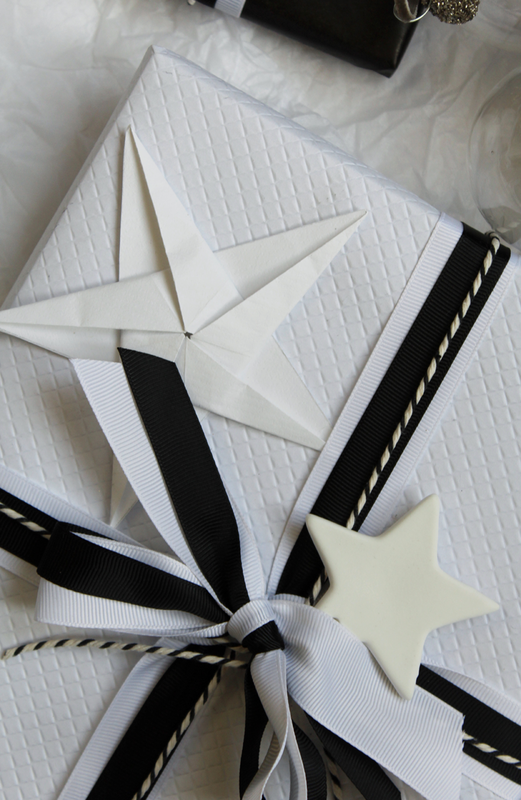 Last year I included origami paper stars with my presents (you can find out more about how I did those here) and my gift tags were luggage tags stamped with the recipients name. 2018 however, is a little more jazzy. I’ve been a prolific buyer of Christmas tree decorations over the years, unable to say no to a pretty bauble should my eyes rest on one. There’s too many to feasibly use even on my gigantic tree, so I decided to put them to good use, adding a glass bauble here and there with some twine. You’ll also see my origami talents have been put to good use again. I used up scraps of white paper from last year to do this, but if there’s an expensive paper you have your heart set on but simply don’t want to have to buy rolls and and rolls, it’s a great way to incorporate it still. The little glass baubles here were from H&M Home. They’re not online currently but I’m sure you’ll find them in store if you take a trip! I also used the twine to thread porcelain stars to the bows, writing the recipients name on the underside in gold pen so they could perhaps be used again. The porcelaine stars I used here are from Hobbycraft and have ended up on my gifts purely out of a change wander into a store. They have been created to support the charity Together For Short Lives, with half the sales of each and every star going to the charity to help families and children for whom Christmases will sadly be in short supply. They’re sold out online currently but they are still available in store if you have one locally. 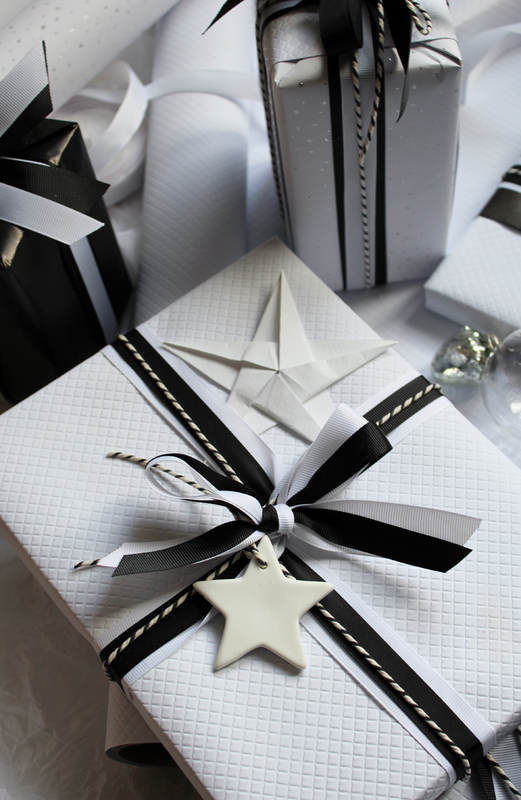 You’ll notice that there is some white glitter paper used in the wrapping scheme here. I bought it a few years ago from The White Company and due to glitter going absolutely everywhere when you unrolled it, didn’t really use it. Glitter on paper actually stops it from being recyclable. At the time this wasn’t something I knew. I decided it shouldn’t go to waste and have used it here simply to not be wasteful. It’s something to keep in mind however as you choose your paper this Christmas period, even the faintest hint of glitter or foil and all those mounds of discarded paper come Christmas Day have to go in the bin rather than the recycling. 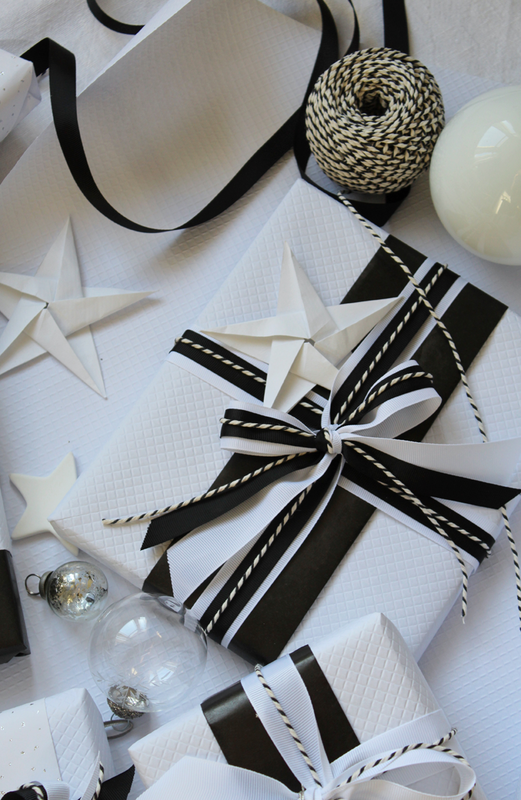 Last year I used a series of three brown printed papers from IKEA to create a really striking, cost effective way of making your presents the best dressed. That paper is still available on the site so it’s just as relevant now as it was then! If you need some further inspiration you can check it out here. My Bedroom Plans. Moving Away From The Minimal. When I first moved into the flat here I decorated simply to make things more to my liking than they presently were, rather than each room ever being a fully realised idea or concept. If truth be told, I’m just not that kind of thinker. I’ve typically always tried to let things evolve over time after the initial white-painting spree was completed. That way it gives you chance to work out what it is you need over time, gradually building up the room to a fully evolved space. 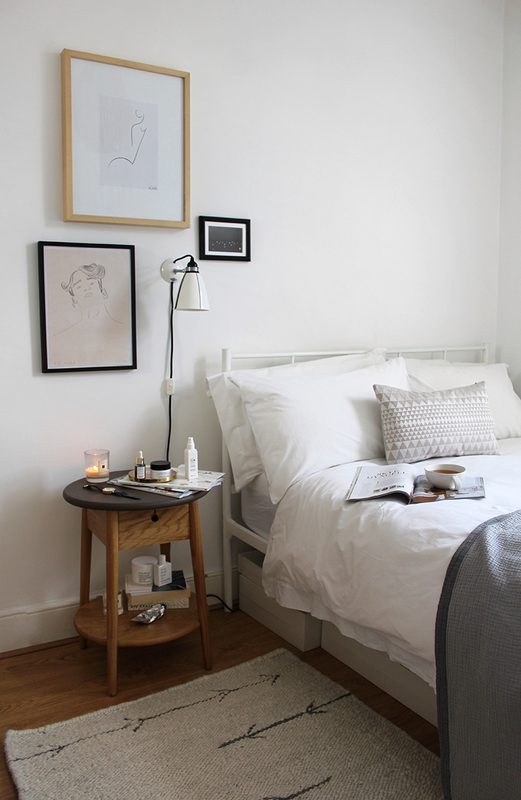 After painting the living room white I immediately moved onto the room I’d chosen as my bedroom, again painting it white simply to banish the magnolia. Technically I live in a three bedroom flat, with what is used as my living room intended to be the master bedroom. That was never going to work for me. For starters it’s too large. Secondly it houses the flat’s only original fireplace; it had to be the living room. I opted for the slightly larger of the two other rooms for my bedroom. It is by no means a big room and that’s kind of how I like it. 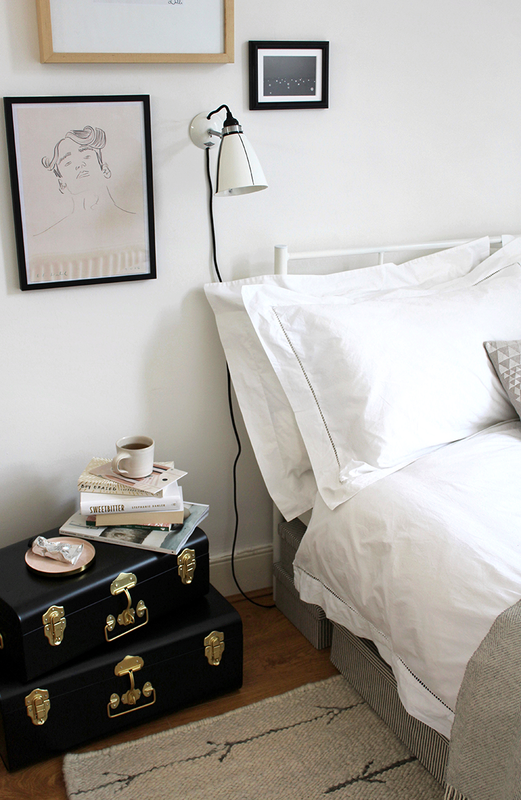 I don’t like bedrooms to be huge and filled with things – I like them small and cosy, neat and peaceful. After the white paint had been sloshed over each wall I built the simple white metal bedframe I’d ordered from John Lewis (because truthfully it was the cheapest I could find that wasn’t some kind of garish chrome), moved in the bedside table and chest of drawers I already had and hung a few pictures. In my head at the time it was a sort of temporary measure. The drawers, whilst being partly made of actual real life solid oak, had succumbed to the fate that all IKEA products equipped with drawers do all the same, despite the lack of chipboard. The bottoms fell out and they were rendered all but useless. In the back of my mind I knew I’d change everything at some point… but three years later and I still haven’t. I’ve never really doubted that I’m a type of minimalist at heart: the bedroom in its current state is perhaps the biggest evidence of this. My wardrobe lives in the spare bedroom, so furniture and ‘things’ are pretty scarce in the room. A few months ago I made the decision to buck my ideas up and start work on deciding exactly what it is I wanted a bedroom to be, thinking from the ground up. Did I want a colour on the walls? Did I want a wardrobe in there? What sort of beds do I actually like? Having never had to think about it previously I quickly came to realise that in the efforts to make everything not magnolia I lost my own taste a little. 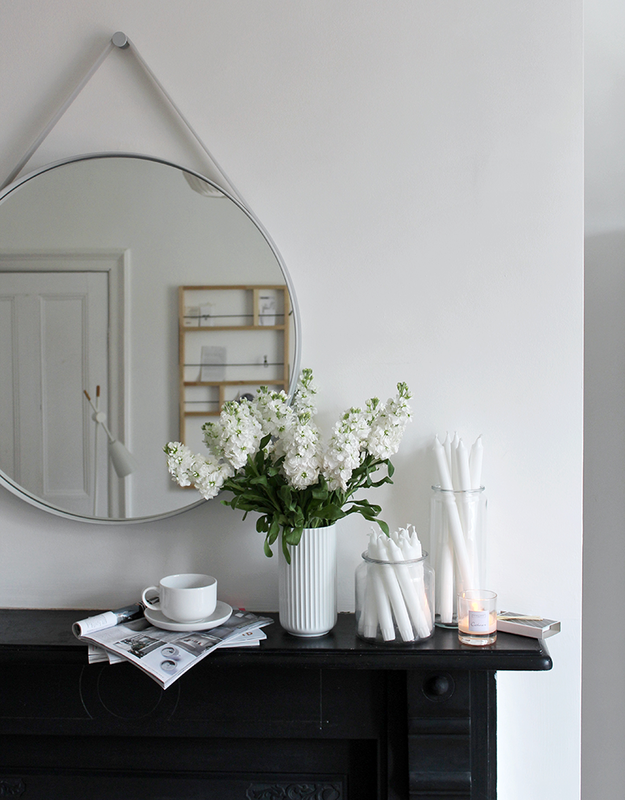 I love white, don’t get me wrong, but if this wasn’t a rental flat and it didn’t have to remain ‘neutral’ then I’m not sure I’d actually have entirely white rooms. I’ve been in the flat so long now I’m no longer worried about straying from the neutral colours of white or beige. If my landlady dislikes it, I’ll paint it back. It’s a small room. So, exactly what do I want to do in the room? That’s the million dollar question. I am certain I wasn’t something a little softer in its look and feel, with natural elements carefully weaving their way into the minimalism. It’s never felt cold to me but in reality it actually is cold. The winter months are pretty icy thanks to badly fitted windows and a heating system that isn’t regulated by a thermostat. My options are on and off. After much deliberation, I think I’m a wooden bed kind of person. Fabric beds fill me worries about dust mostly, padded headboards make me flinch somewhat and the idea of Divan bed just brings back University room nightmares. 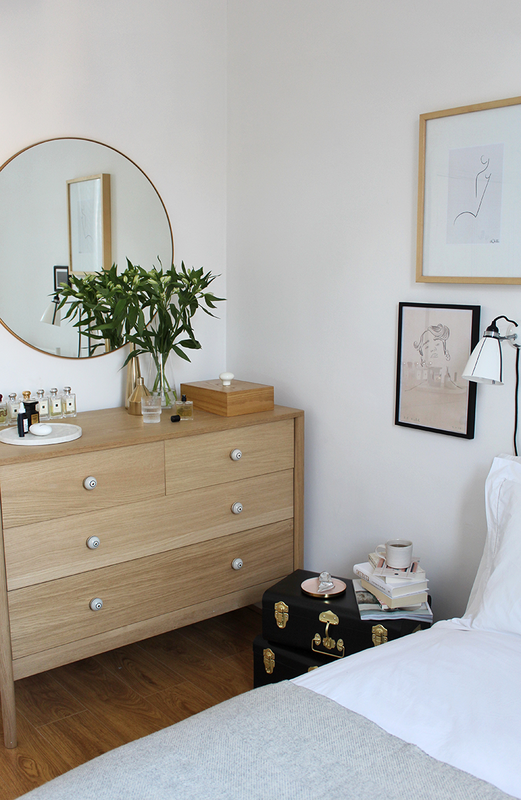 So an Ercol-esque wooden bed seems like the best option here, allowing plenty room for storage beneath it also. Not cheap and not that easy to come by it would seem. 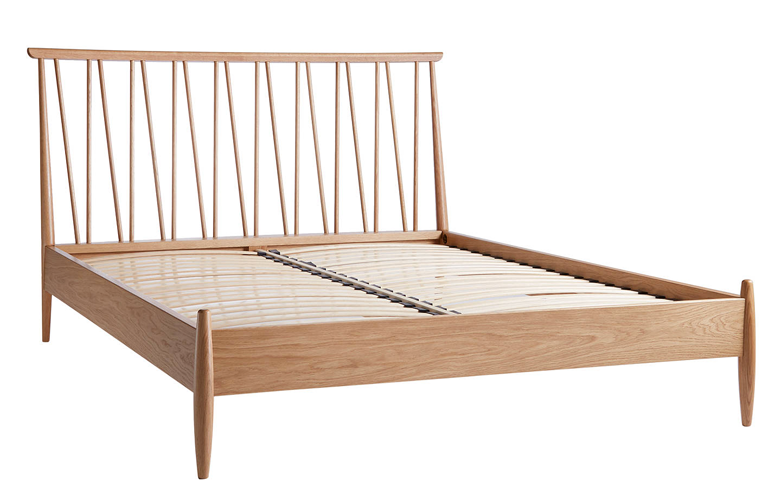 Made.com’s Penn Bedframe in Oak seems to be about the best (achievable) example of what I’m thinking of. 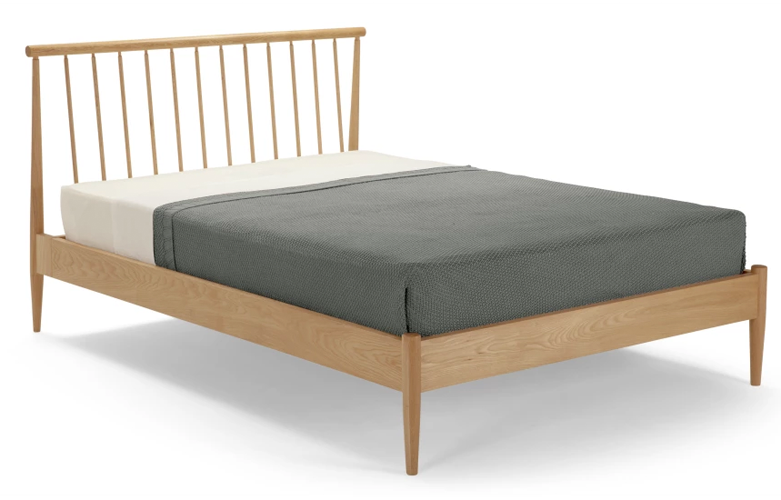 Although given any budget, Ercol’s Shalstone Bedframe would likely be getting my hard earned pennies. 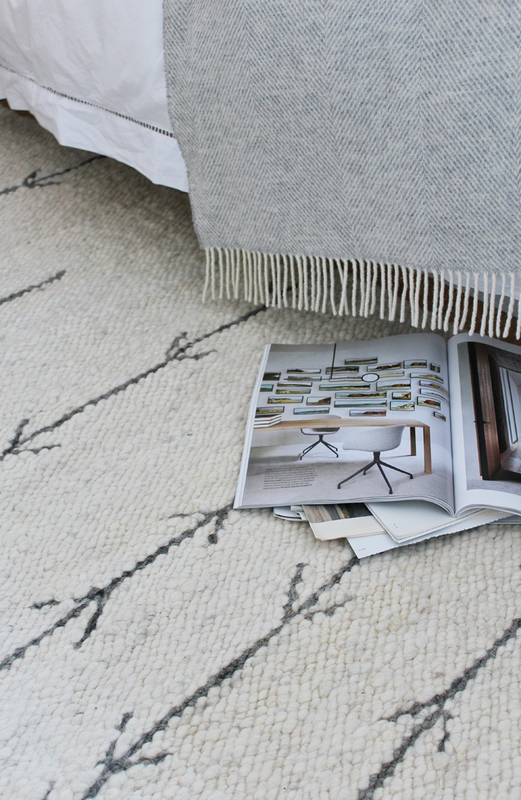 I was lucky enough to work with the lovely people at Artha Collections earlier in the year, receiving a hand woven Arrow rug as part of the partnership. 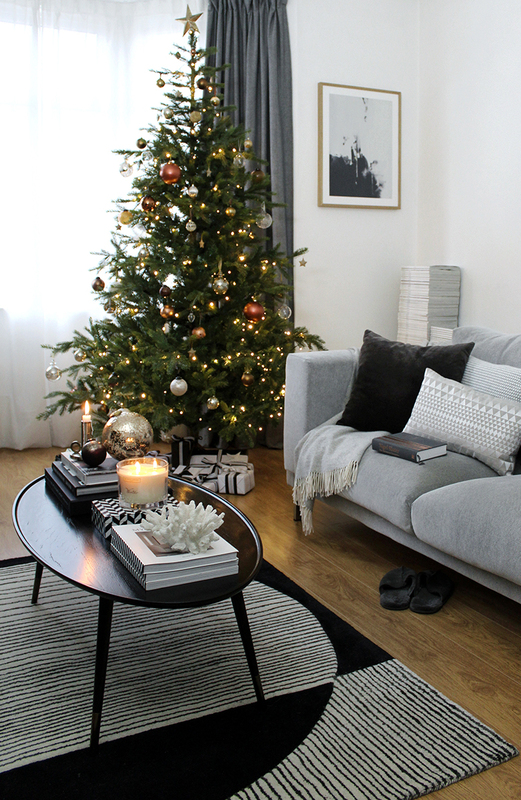 It’s beautiful – cosy, warm and just the right size. That will absolutely be staying and has in part actually dictated the ideas I’ve had for the room as a whole. The bottom of these drawers have been sellotaped, nailed, glued and screwed. It’s time to cut my losses and get rid. IKEA HEMNES, you’ve been a loyal friend these past five years, but no. You’re out. 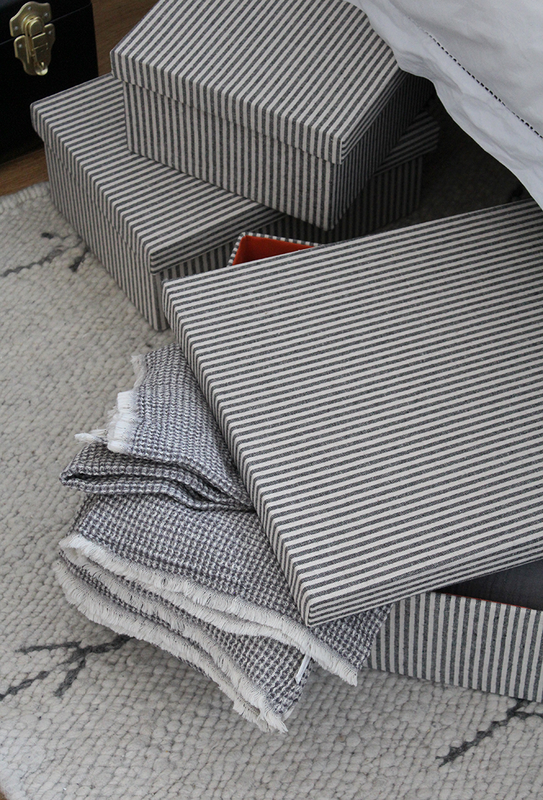 The monochrome striped handles (an amazing Zara Home find a few years back) however, may be staying on whatever comes in to the replace them. I’m so torn. I love this piece. I wanted it for months; pinning it to boards, bookmarking it, attempting to save for it… and then it went. Gone. Only to reappear three months later in M&S’ final reductions for the bargain price of £102, instead of the original £450 price tag. For that reason alone I want to keep it, but no. I’m being bold here. If a better option occurs, it’s gone. Maybe. 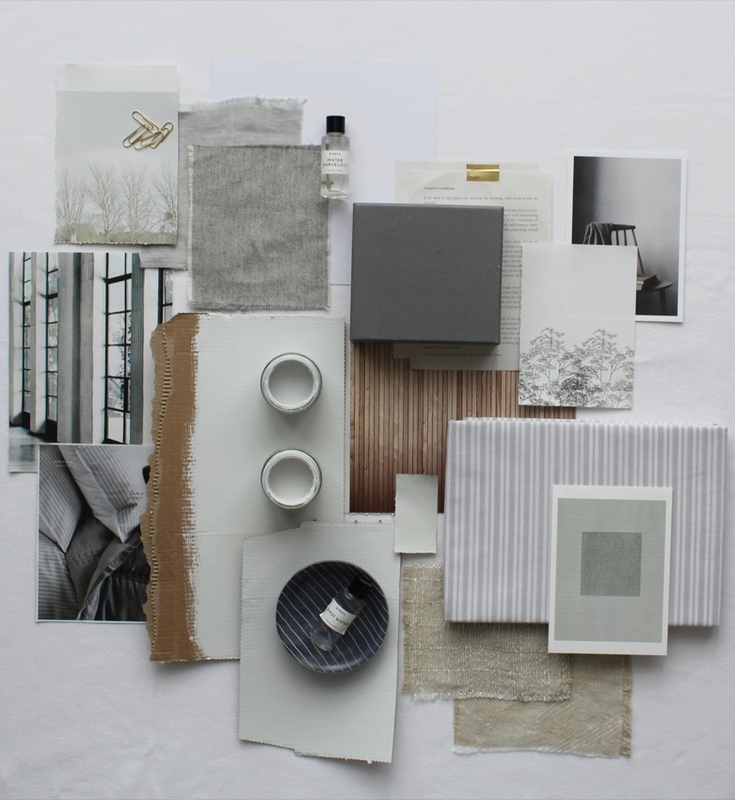 From the moodboards I’ve been creating grey seems to be a common theme, shockingly. 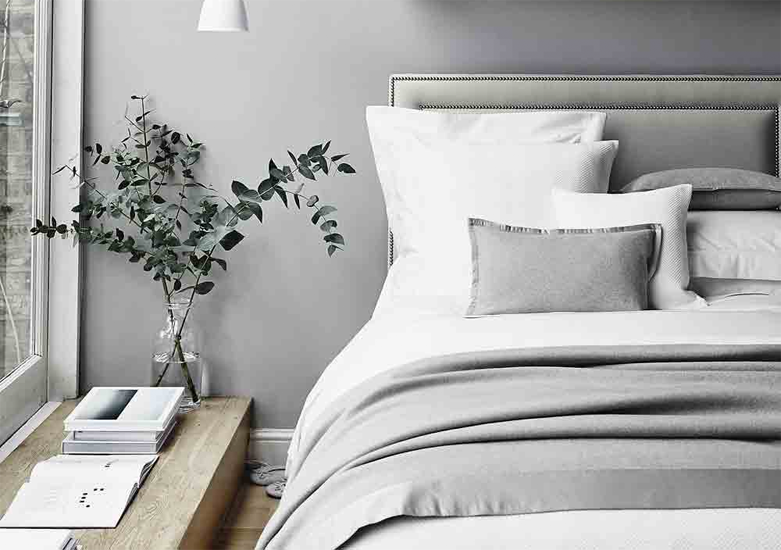 The jury is out on whether or not I want a grey bedroom however. 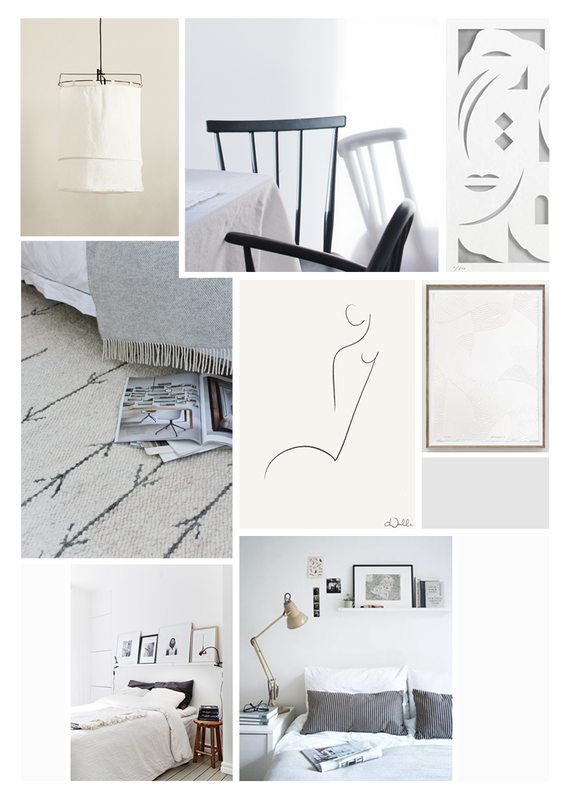 Neutral tones, whilst being very prevalent in the ideas here, aren’t something I feel comfortable with painting a wall in. In short, I just don’t know as yet. 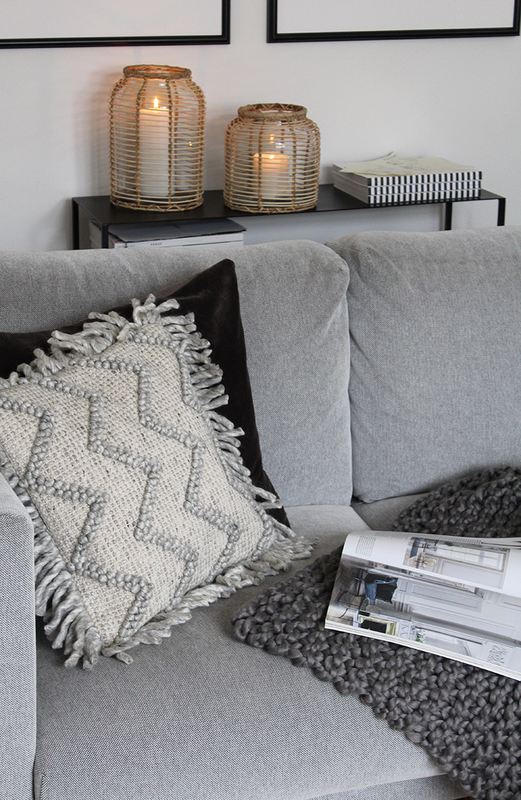 There’s a lot of pinning still to be done here clearly, although The White Company is constantly assisting in this task..
I’ve also always loved the soft putty-like grey of this project from the beautiful blog Avenue. I do know that I want the walls to be much less minimal then they are currently. That much I’m sure of. 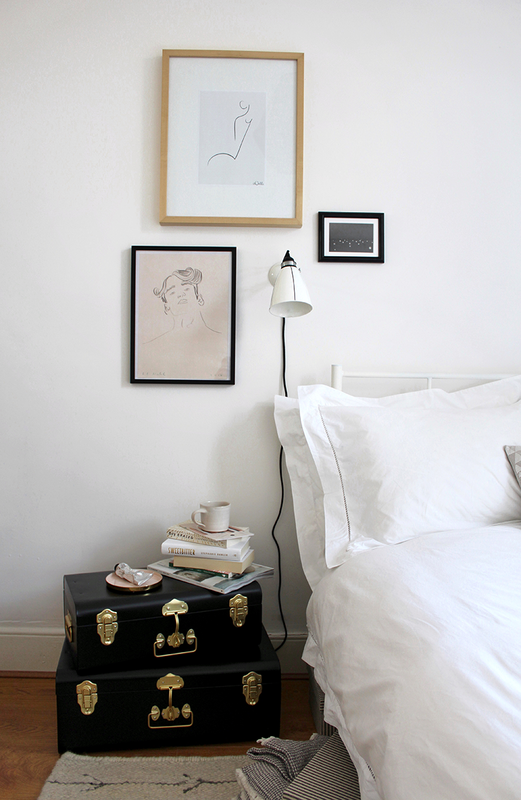 I don’t want anything quite so statement as a gallery wall but I find myself drawn towards images of bed frames encased in large-scale artworks, generally always sitting on a picture ledge. That looks like it’s the route I’m going down. Choosing the artworks for the space is however something I know will take me months on end. Here I’m more certain of my tastes. 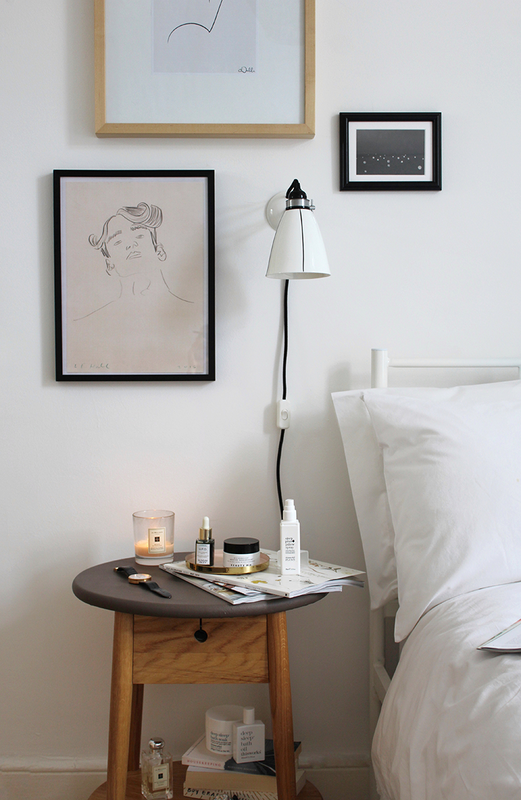 I’d like a wall mounted bedside light, angled over towards the bed. The only problem I face here is that it can’t be wired in but instead must be one that plugs in and is simply wall mounted. This does narrow down the options quite heavily it seems, but aesthetically, I feel I’ve nailed what it is I’d like at least. Half way there. Watch this space. 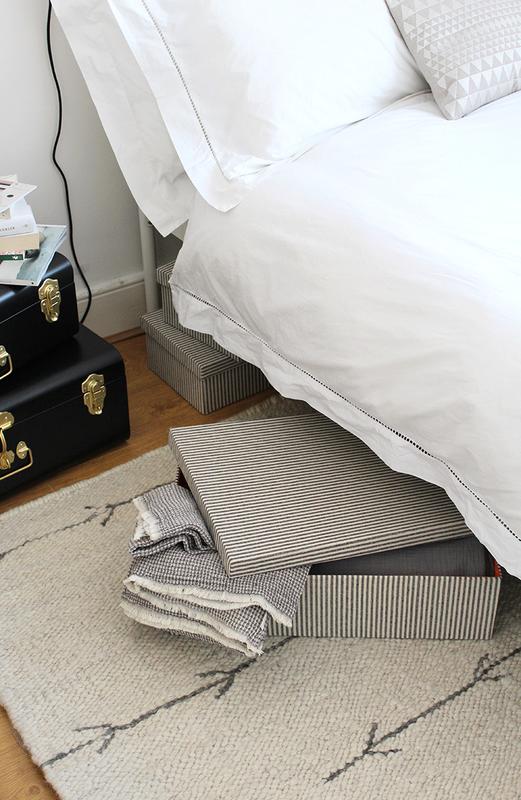 One distinctly less minimal bedroom coming your way soon. Ish.